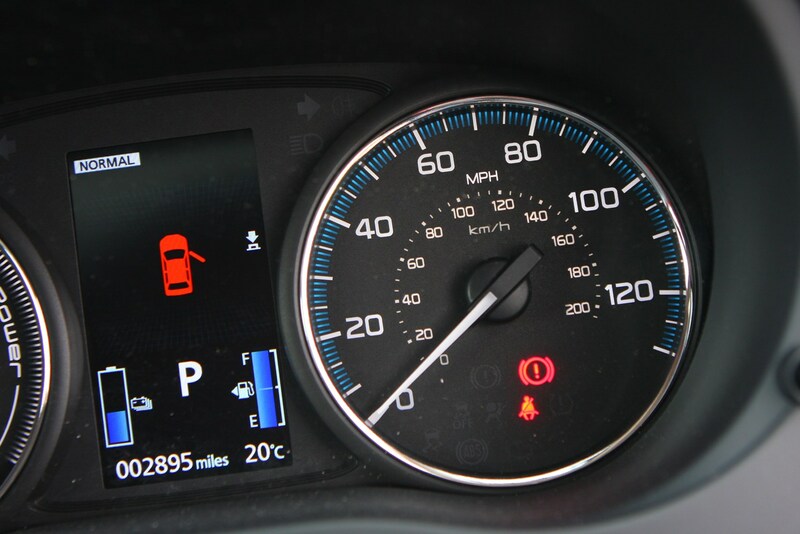 Insurance group: 19 - 32 How much is it to insure? 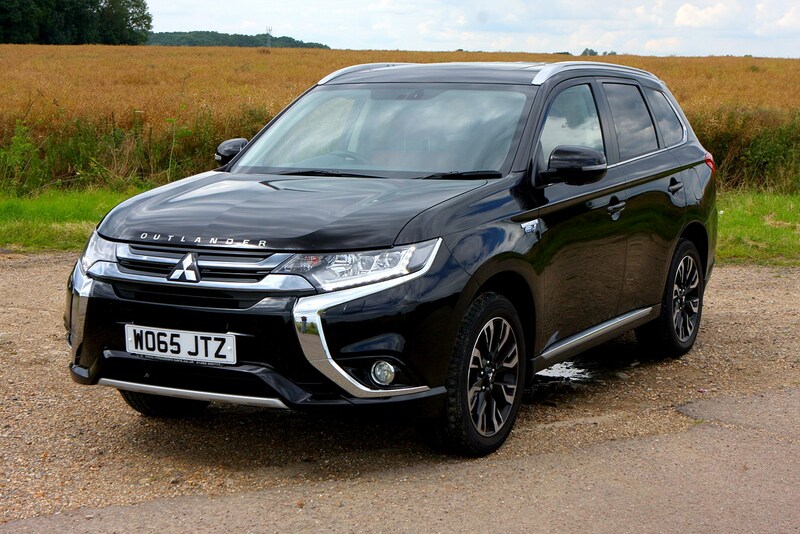 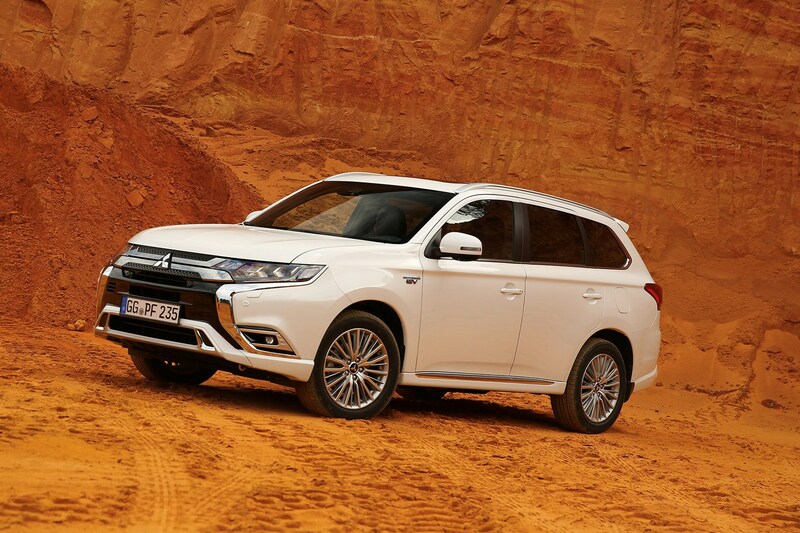 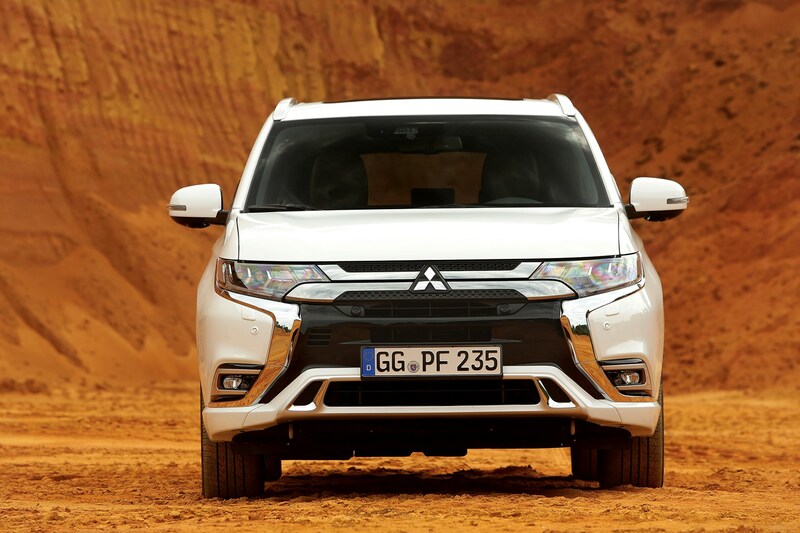 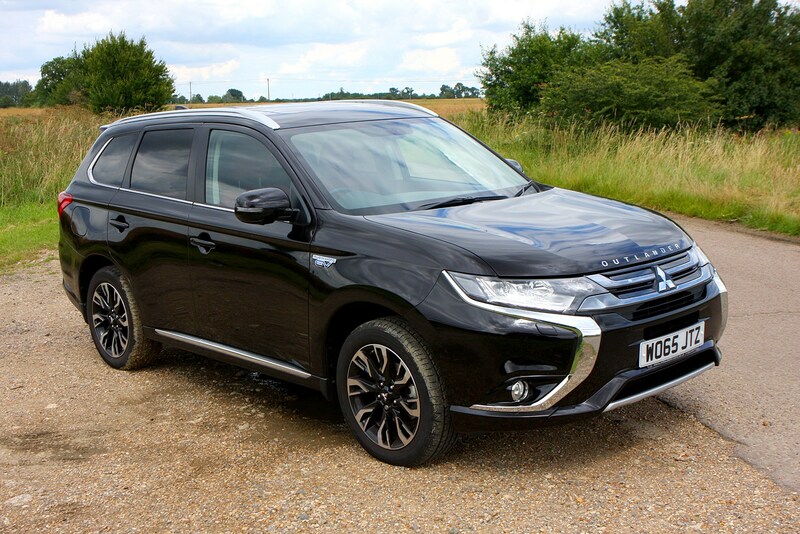 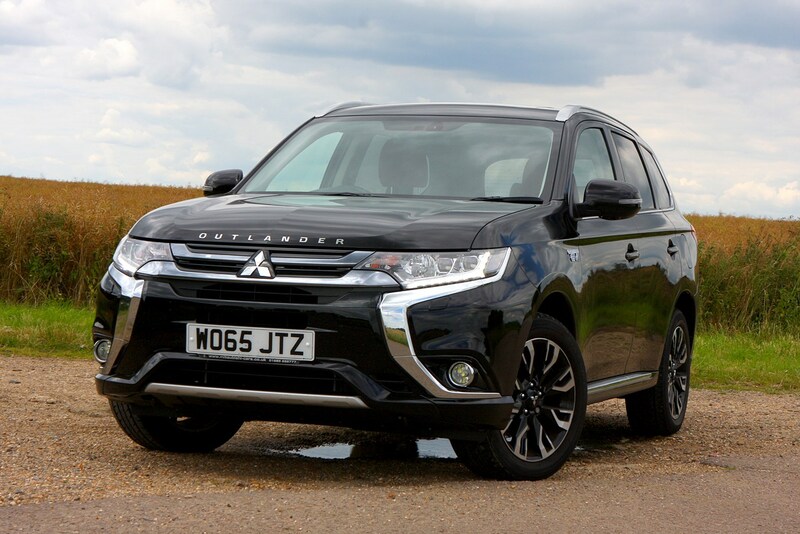 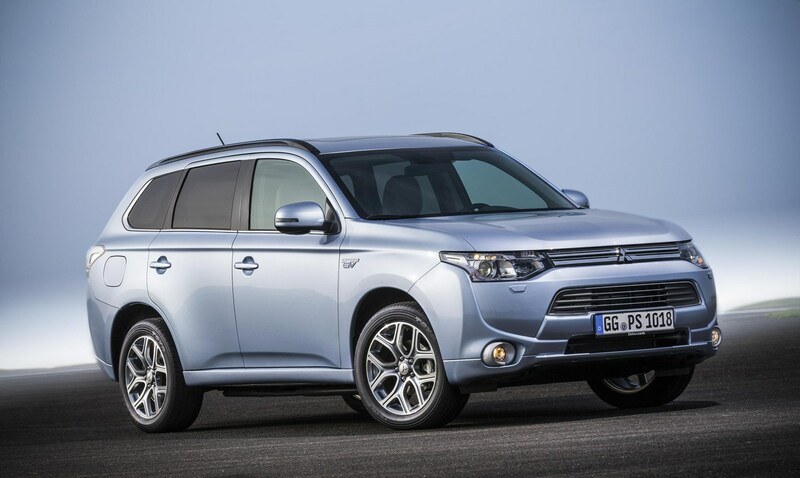 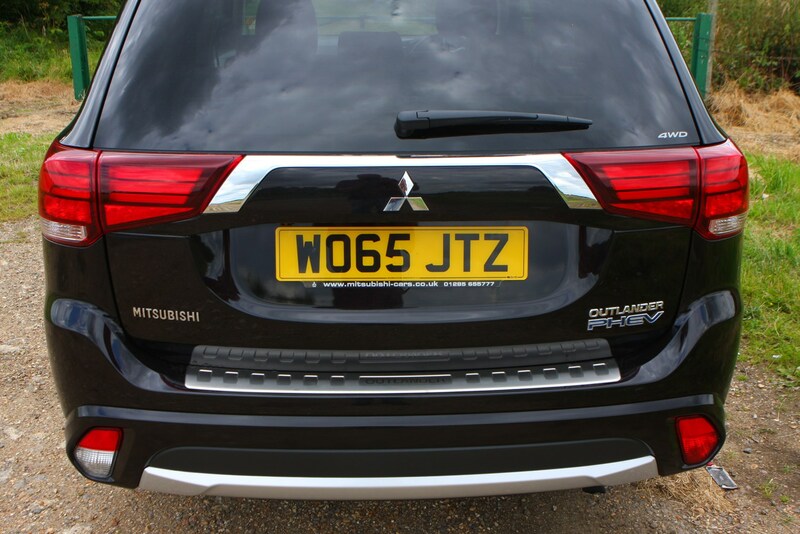 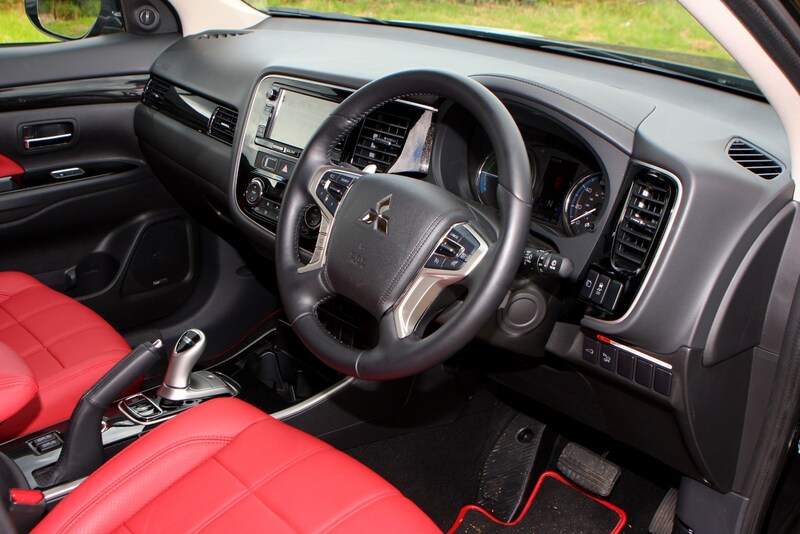 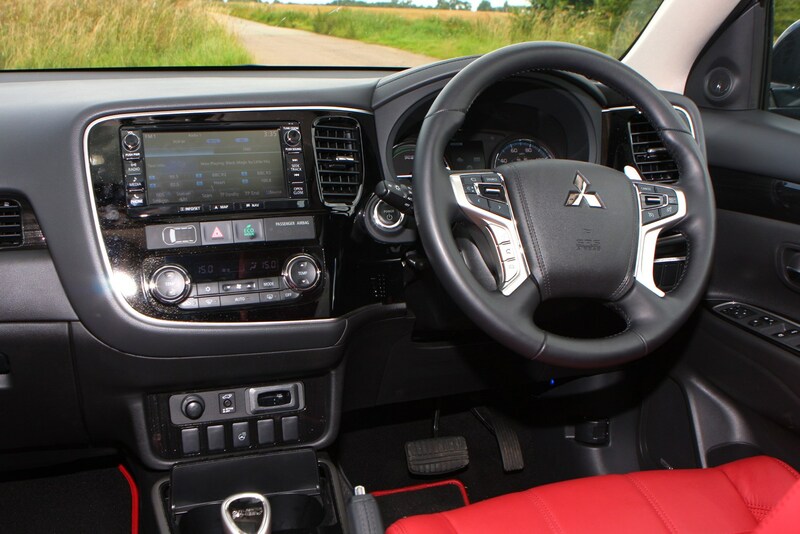 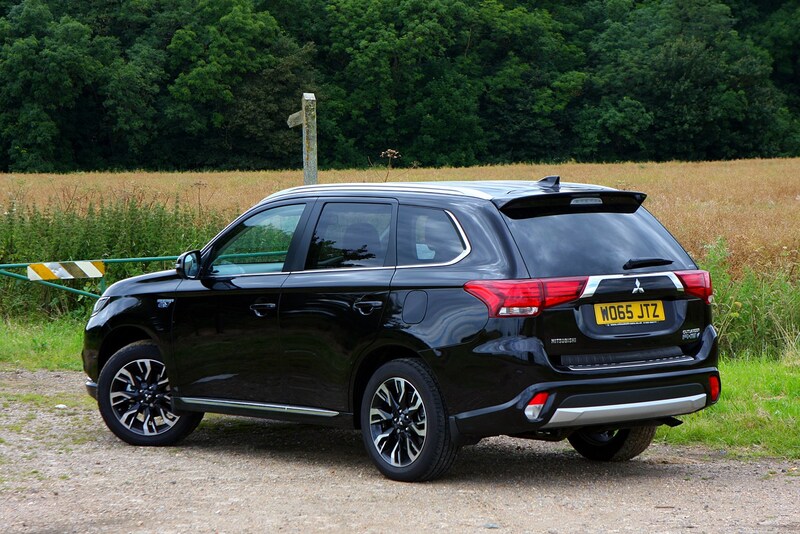 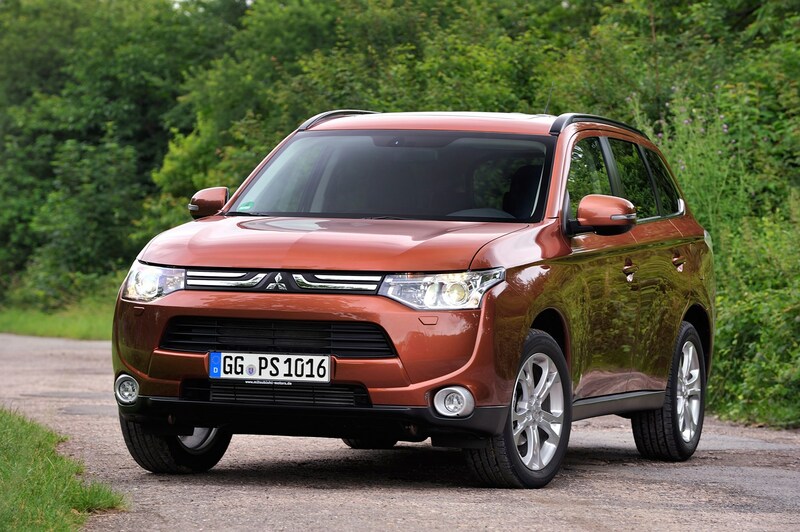 The Mitsubishi Outlander hit the market back in 2013 and, largely thanks to the petrol/electric plug-in hybrid (PHEV) version launched less than a year later, it’s been a hit for the Japanese manufacturer. 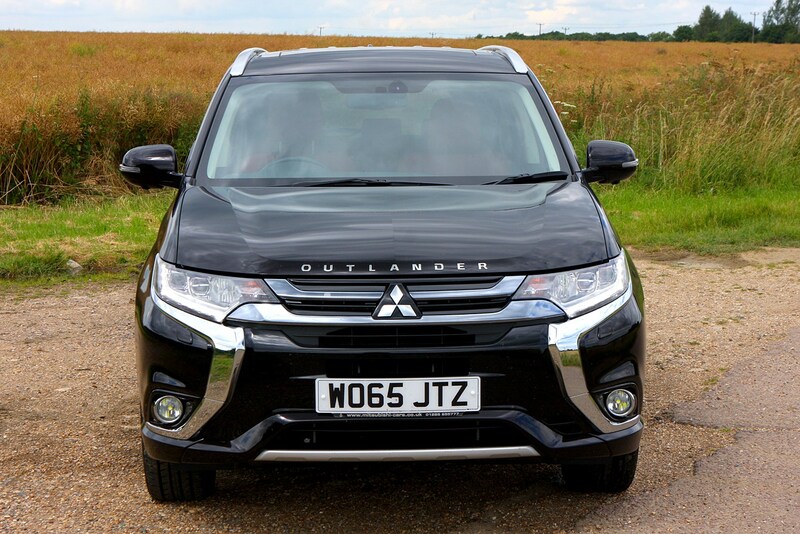 It marked a big improvement over the previous Outlander, now much sharper looking and, thanks to its sleeker shape, more aerodynamic. 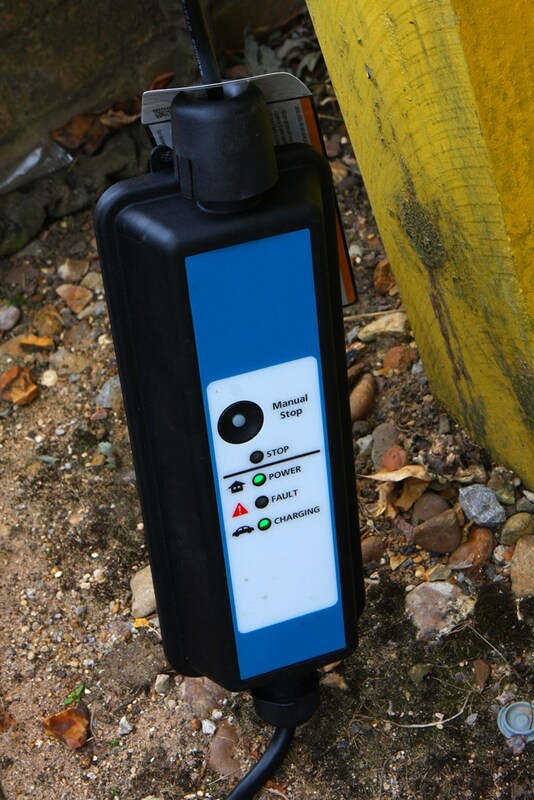 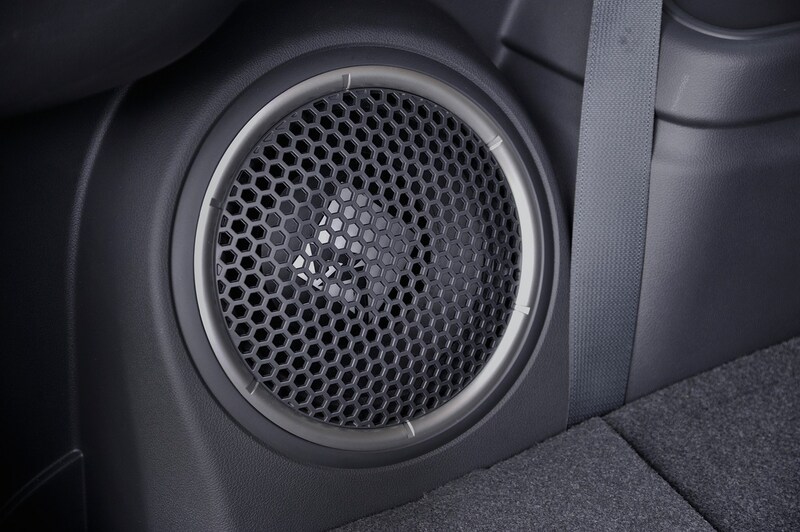 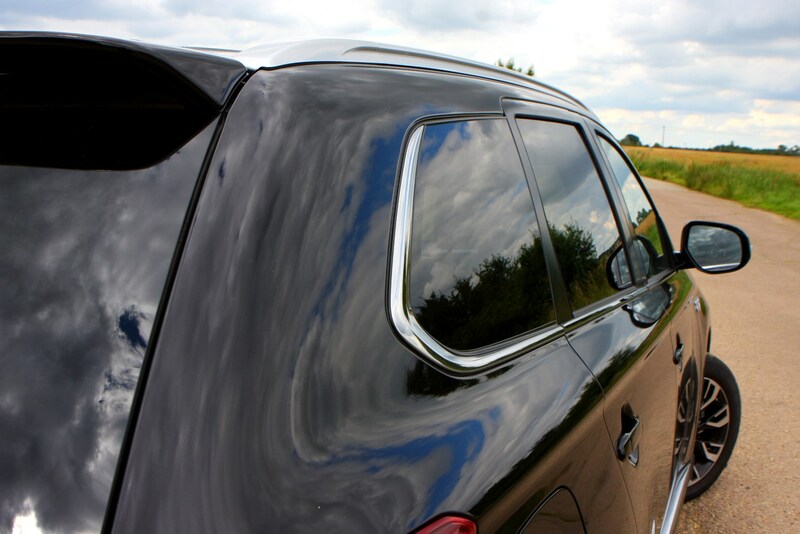 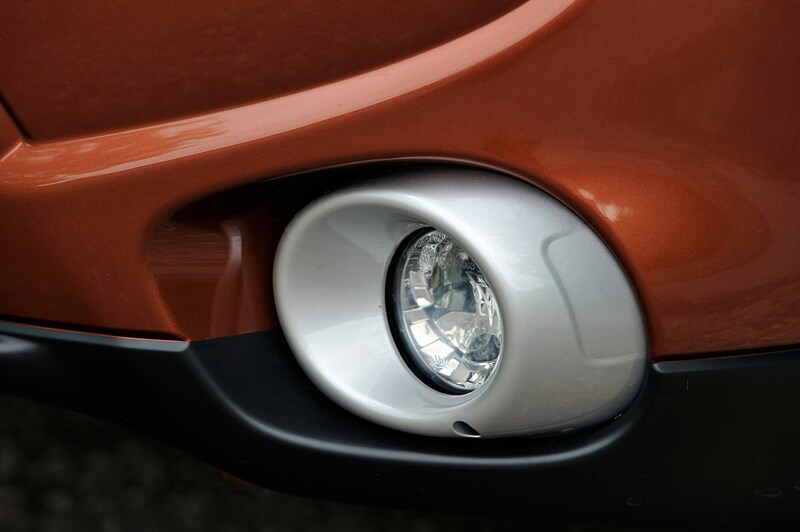 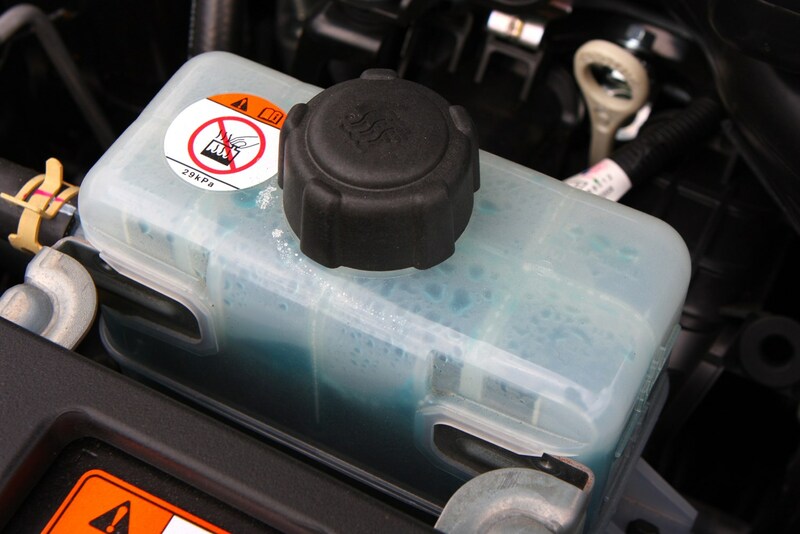 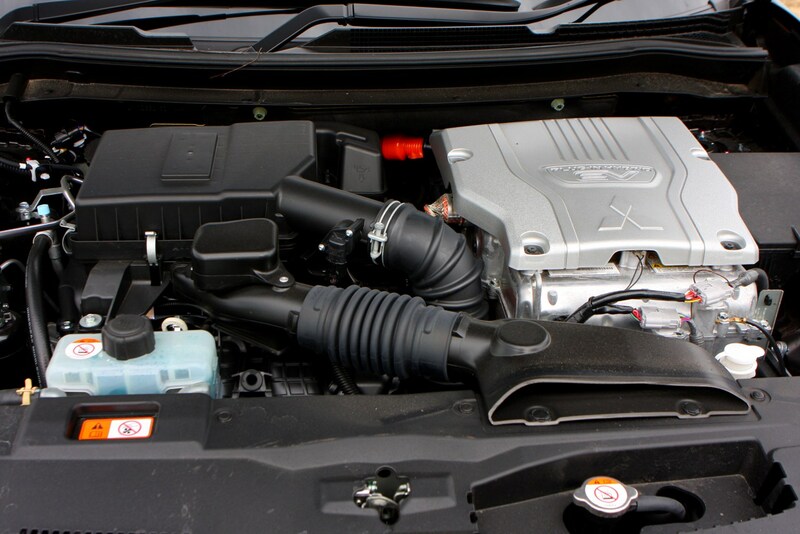 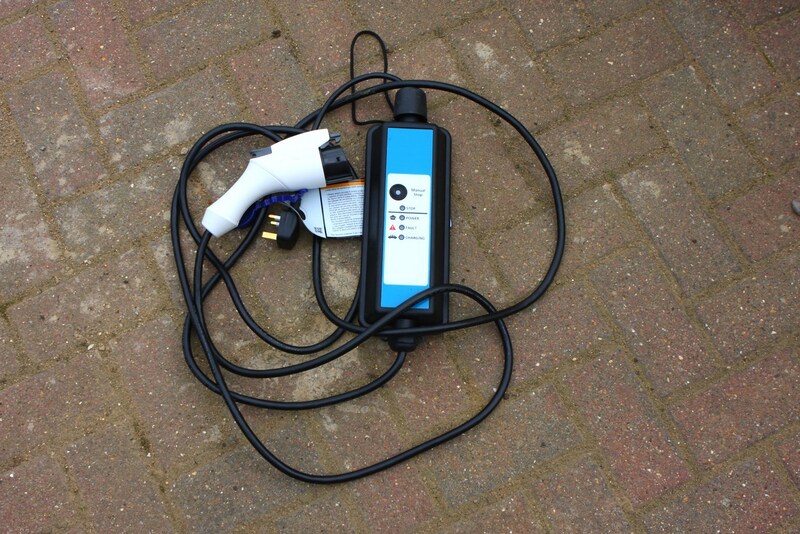 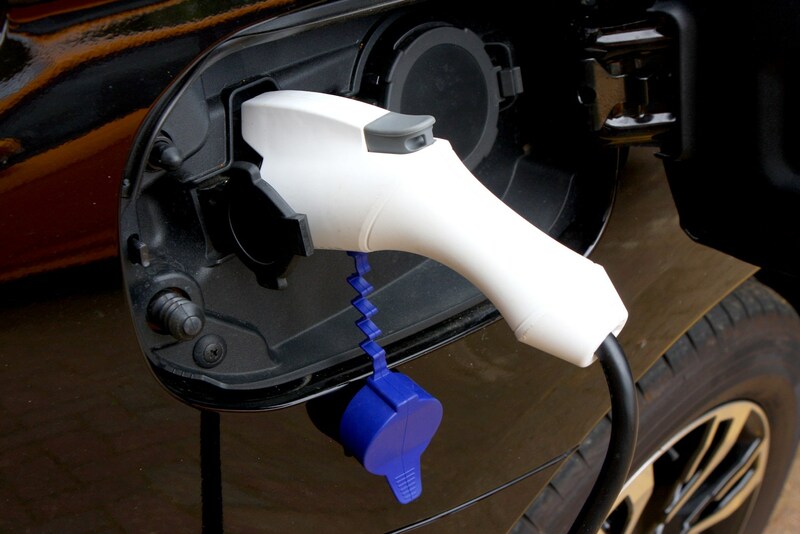 That helps keep fuel and tax bills low as the engines can work more efficiently. 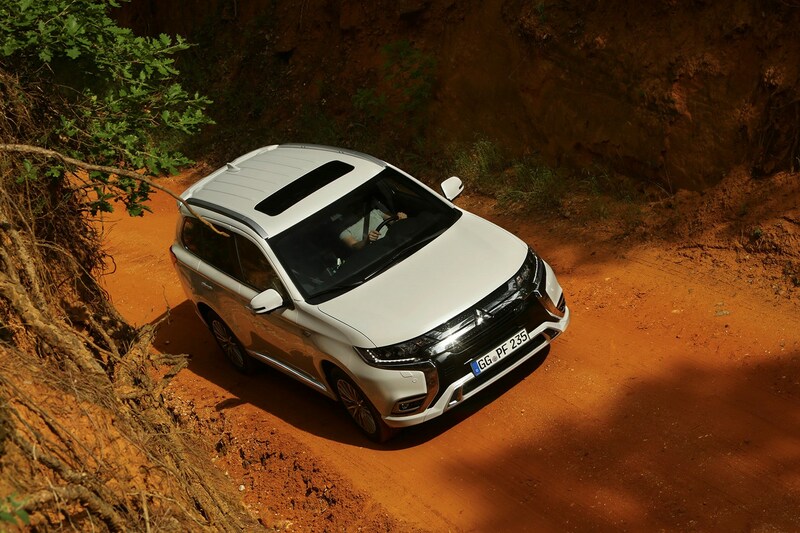 Its competition comes in the form of the Skoda Kodiaq, VW Tiguan Allspace and the Hyundai Santa Fe. 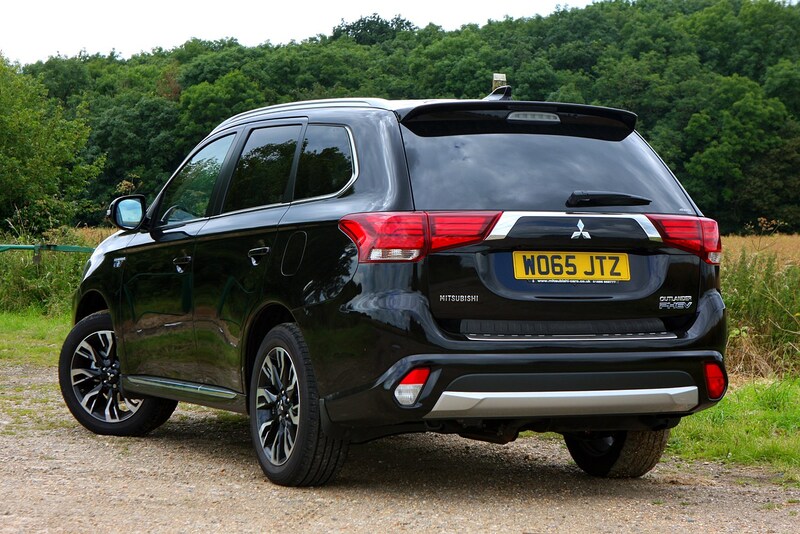 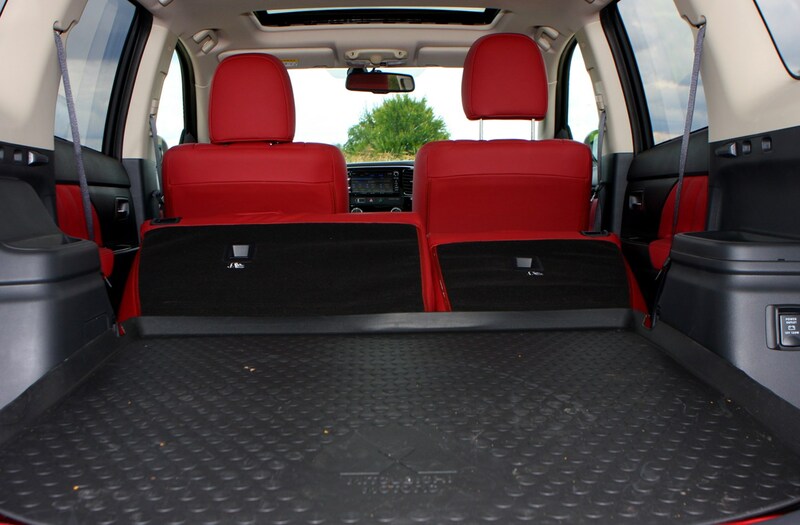 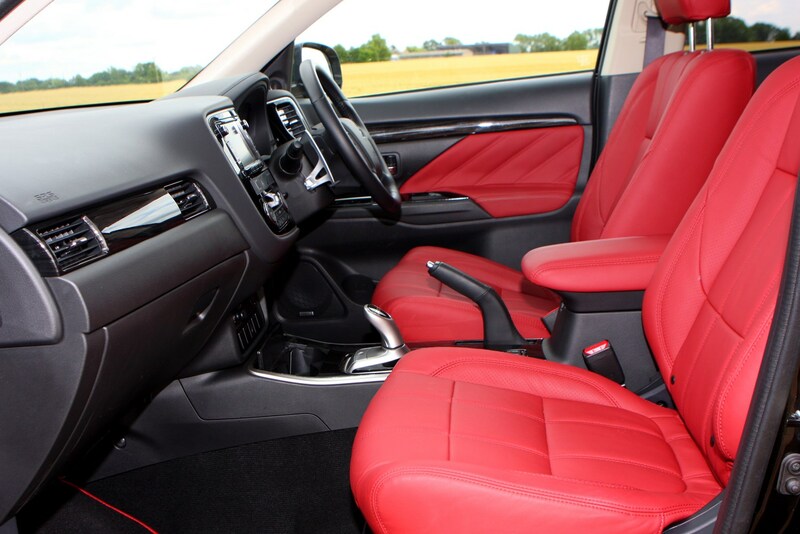 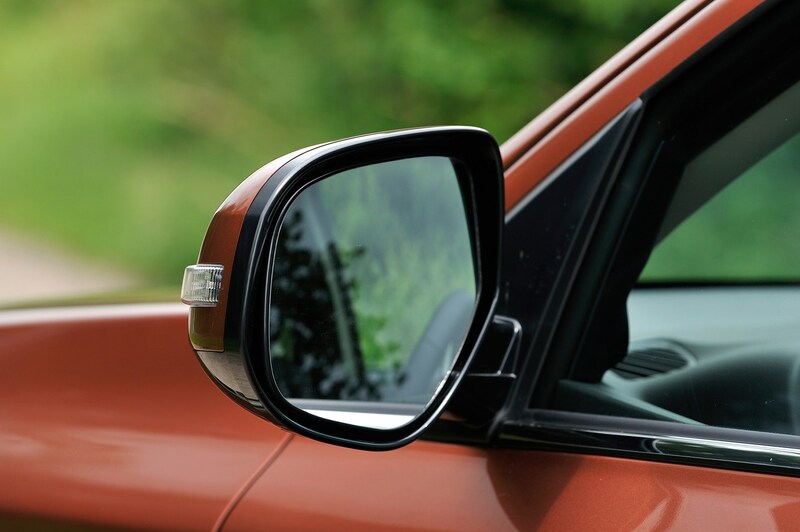 It is competent both on- and off-road, and the diesel version can accommodate seven passengers, although the rearmost seats are only really for children. 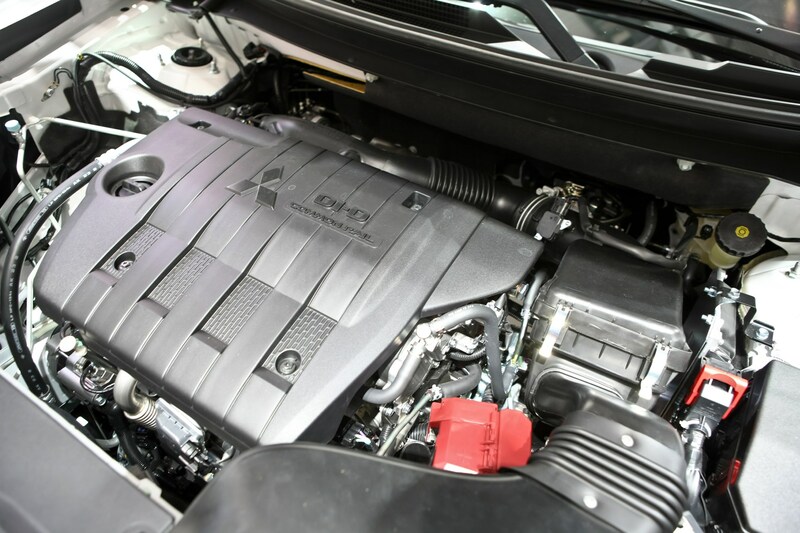 Its engine range consists of one 150hp 2.2-litre diesel engine mated to either a six-speed manual or an automatic six-speed gearbox. 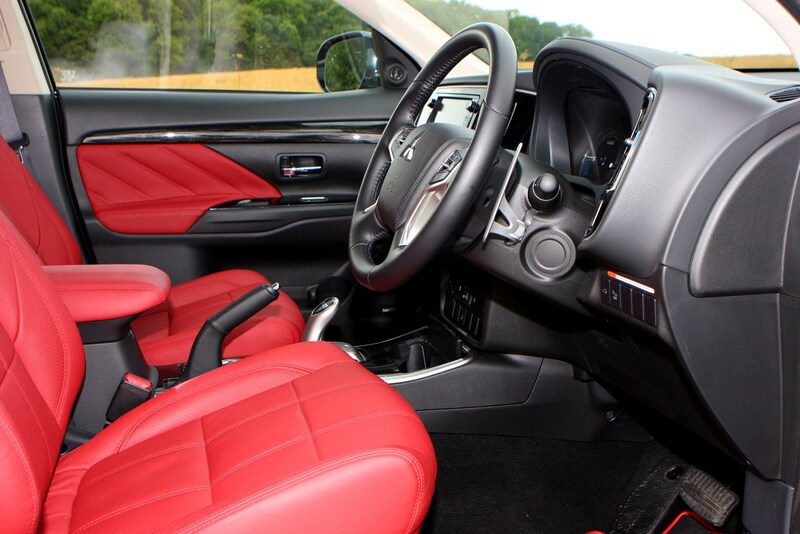 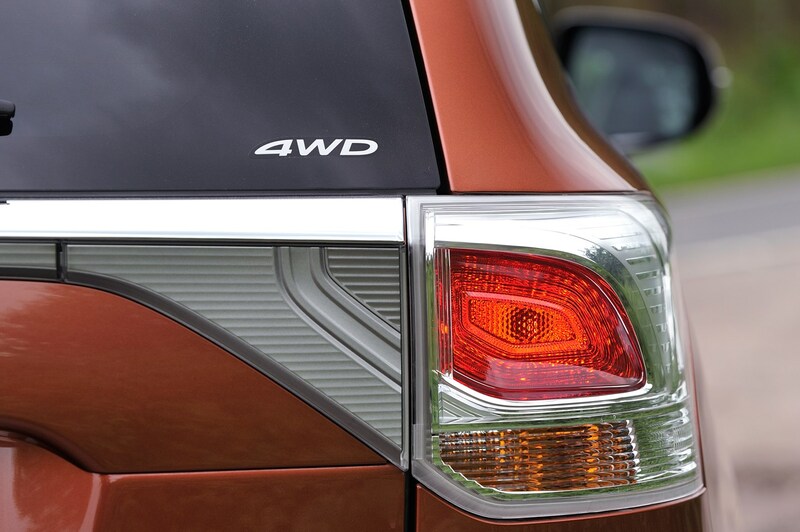 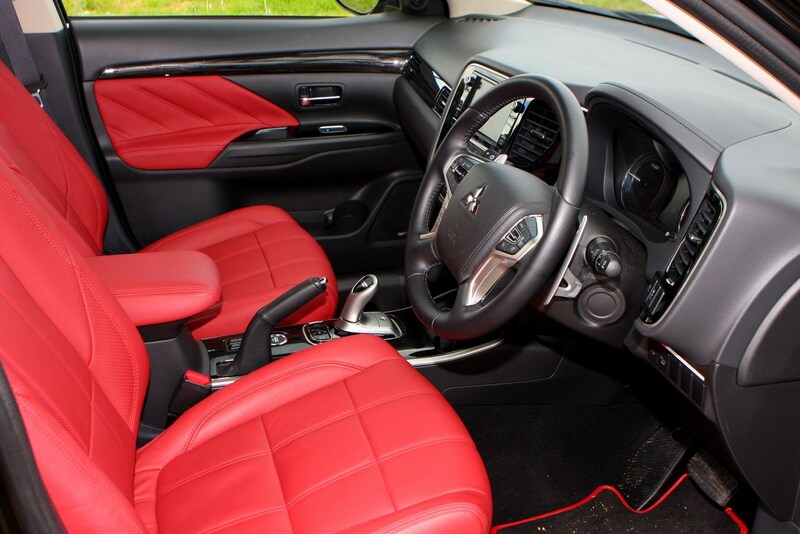 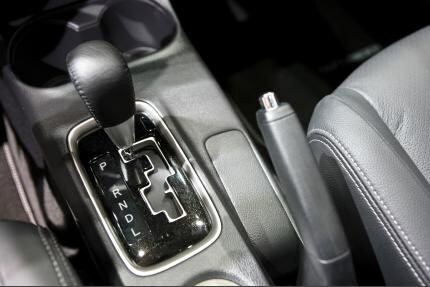 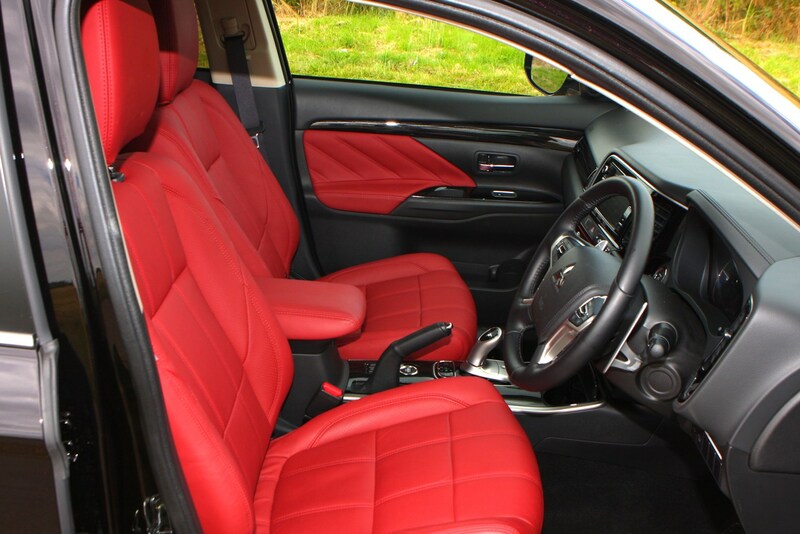 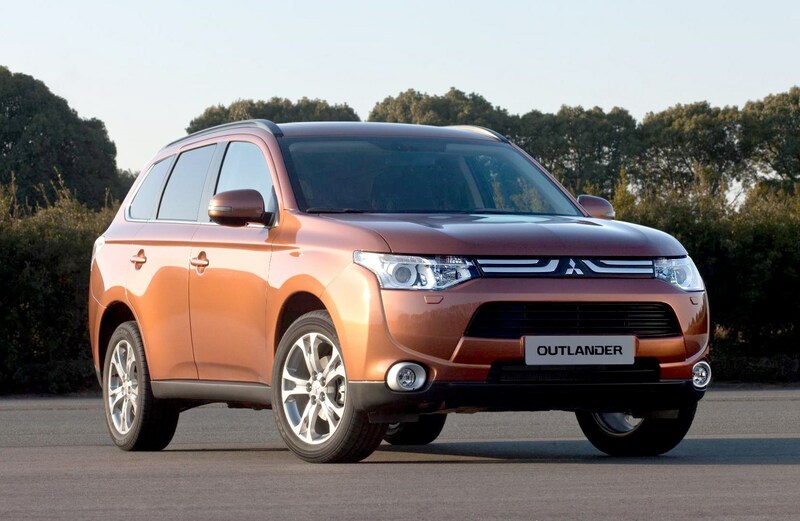 To improve stability, traction, fuel economy and emissions Mitsubishi has equipped the Outlander with a Multi-Select four-wheel drive system. 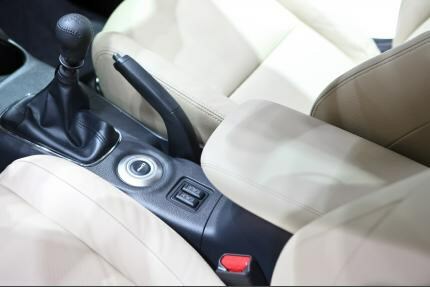 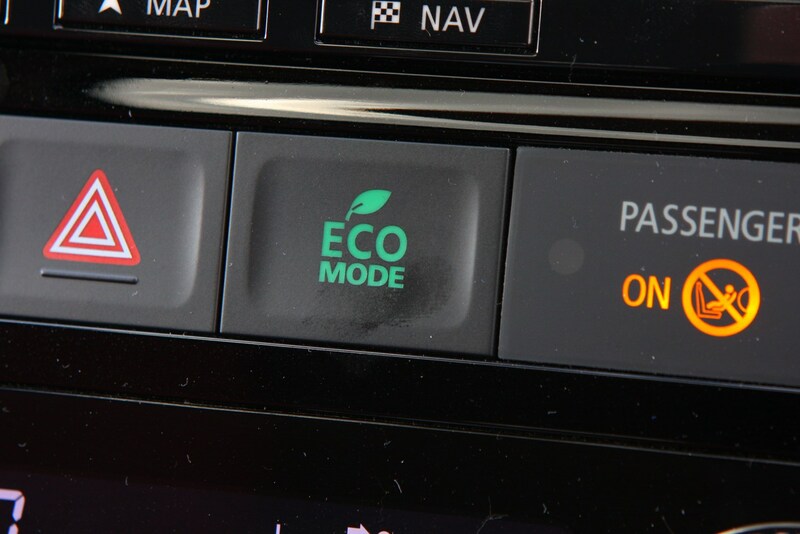 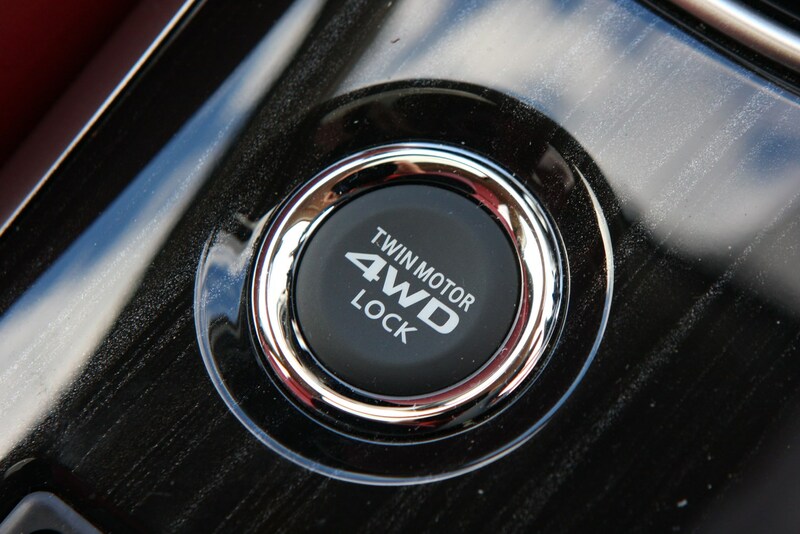 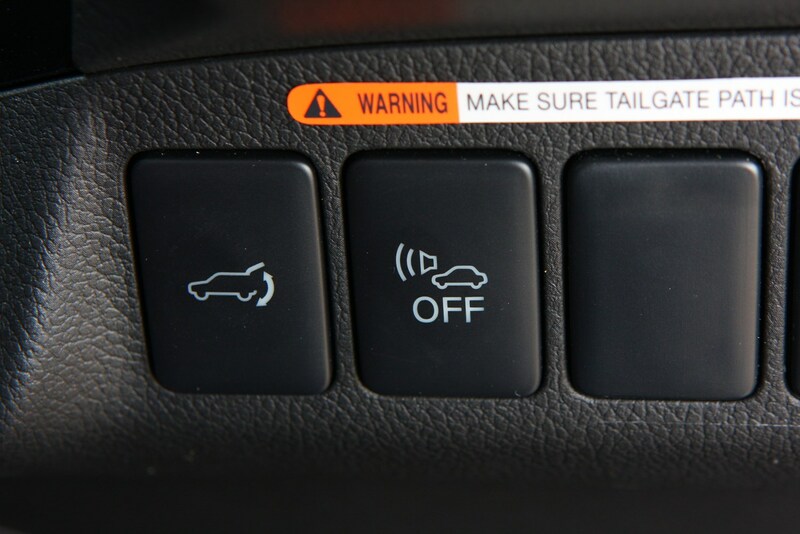 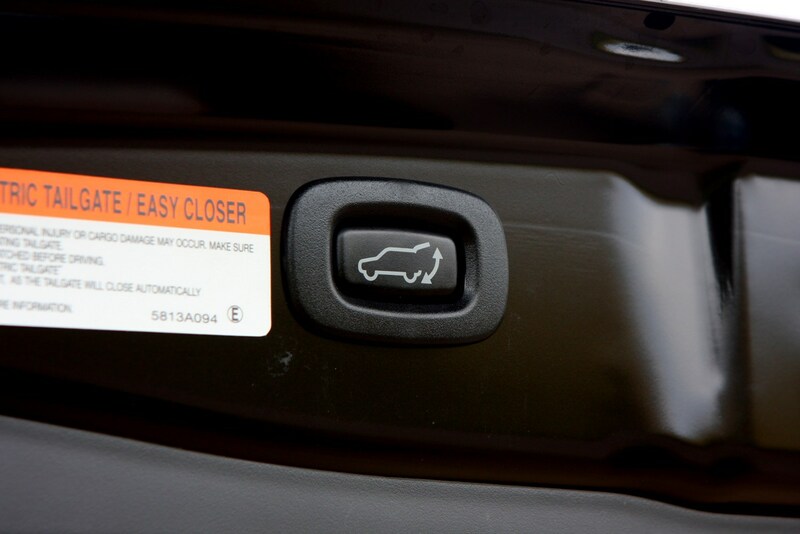 This has three modes: 4WD Eco, 4WD Auto and 4WD Lock and you select a mode using the push ‘type’ switch on the central console. 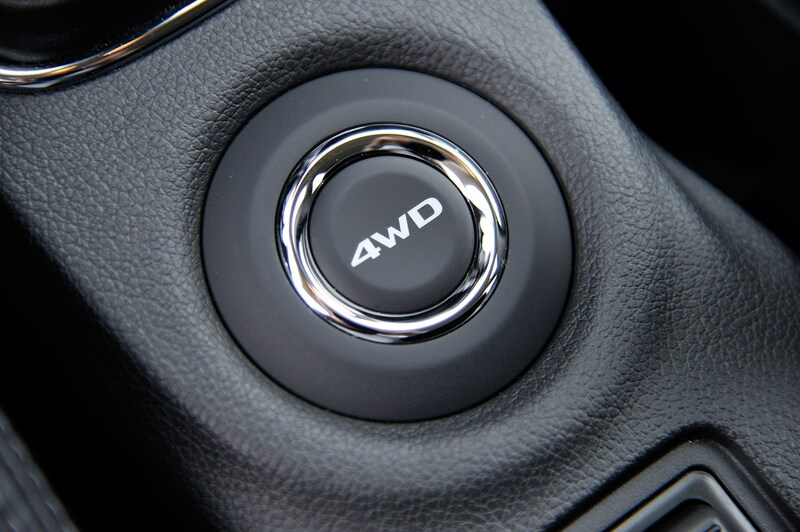 4WD Eco is used when you are driving to reduce fuel consumption, 4WD Auto powers all four wheels all the time and 4WD Lock is best used when you are off-road and driving on uneven surfaces. 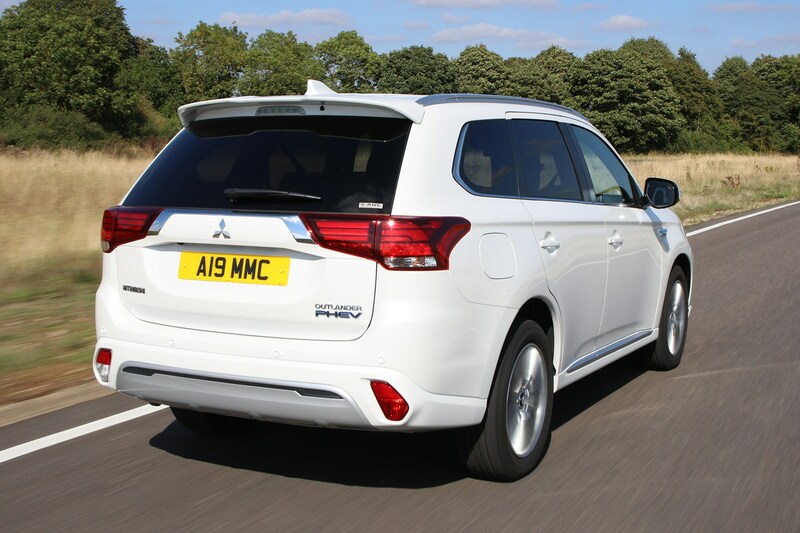 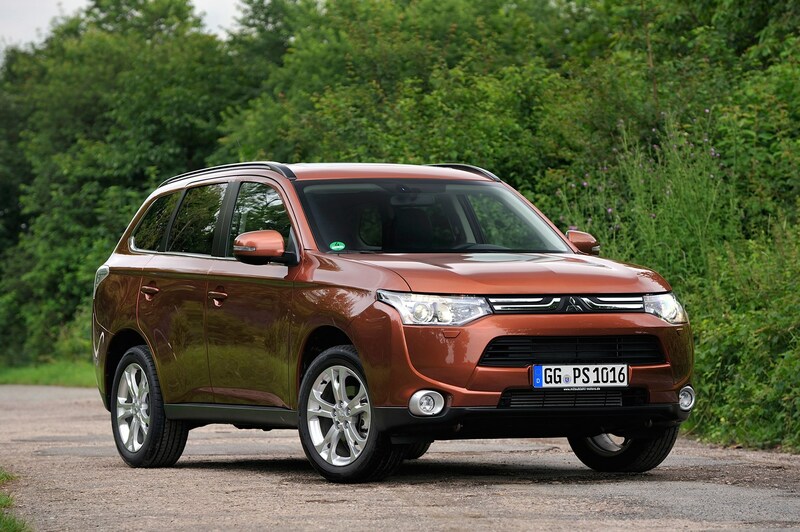 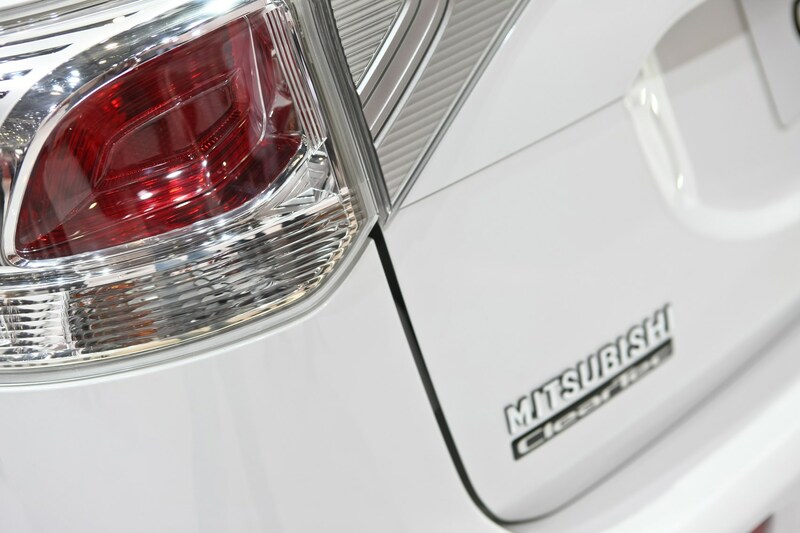 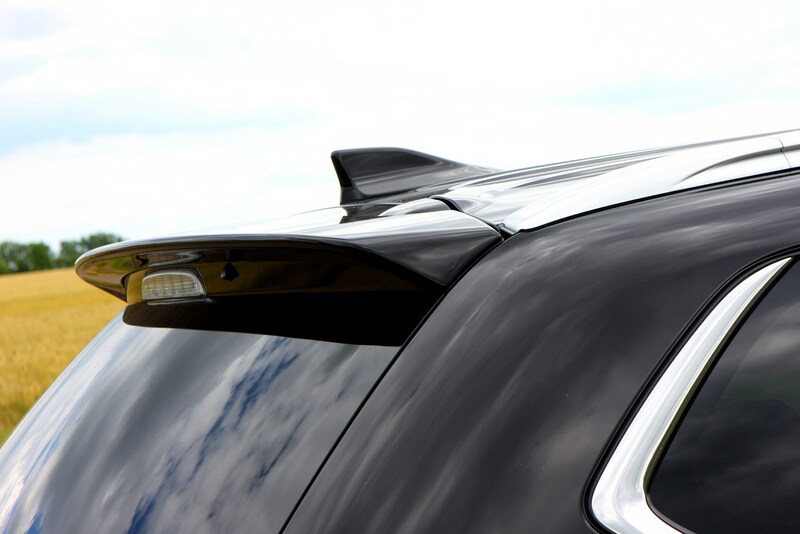 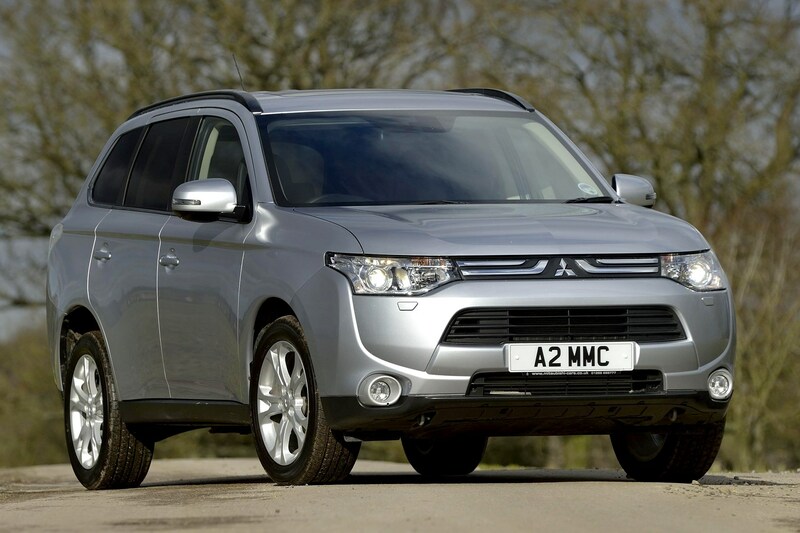 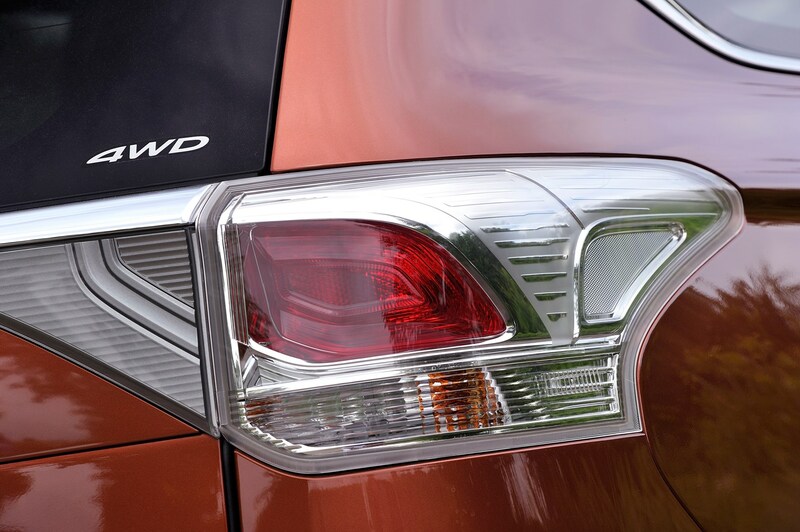 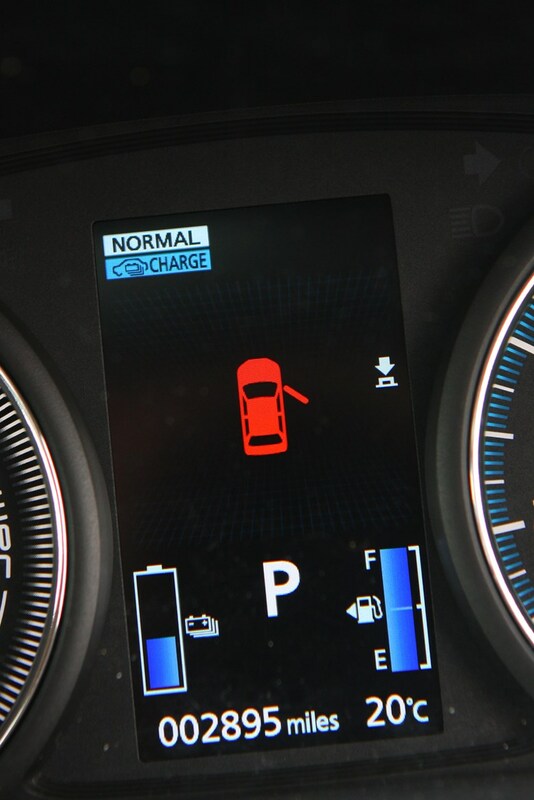 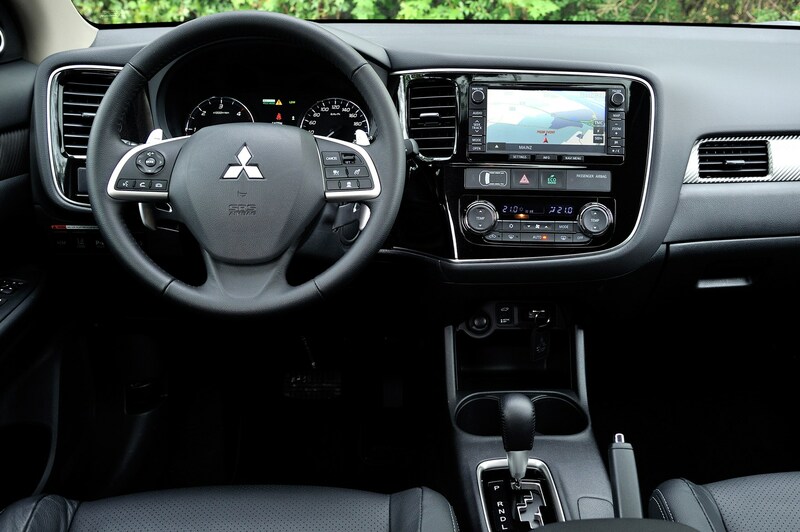 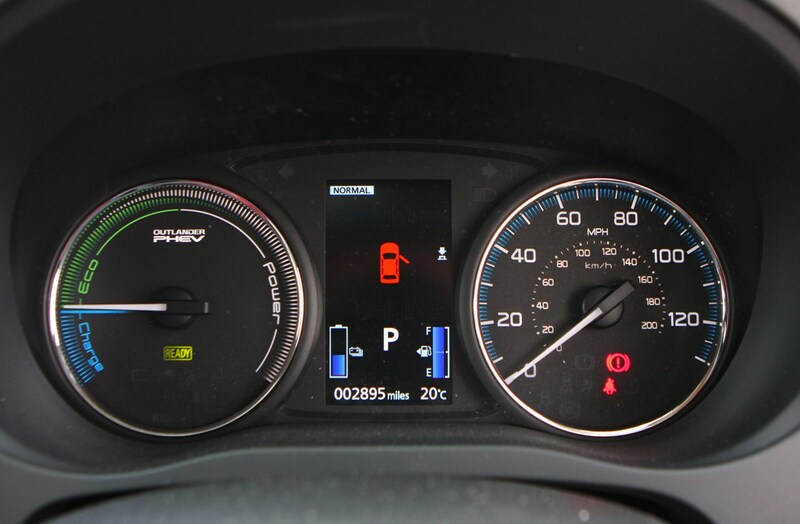 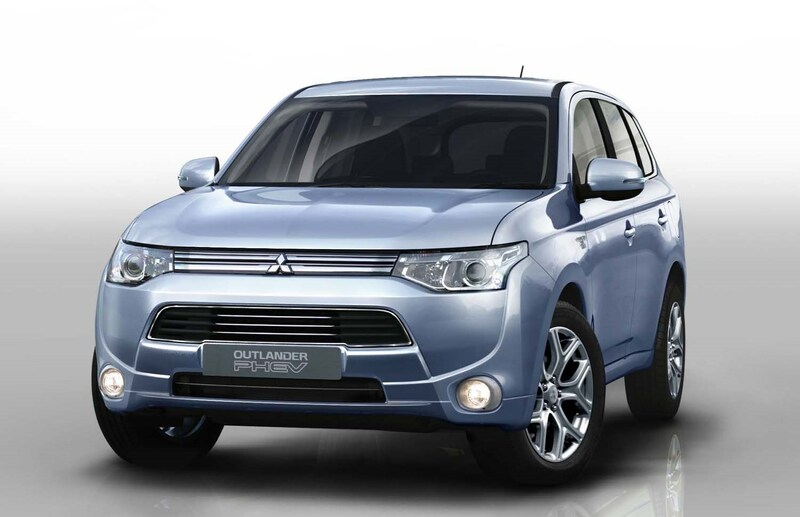 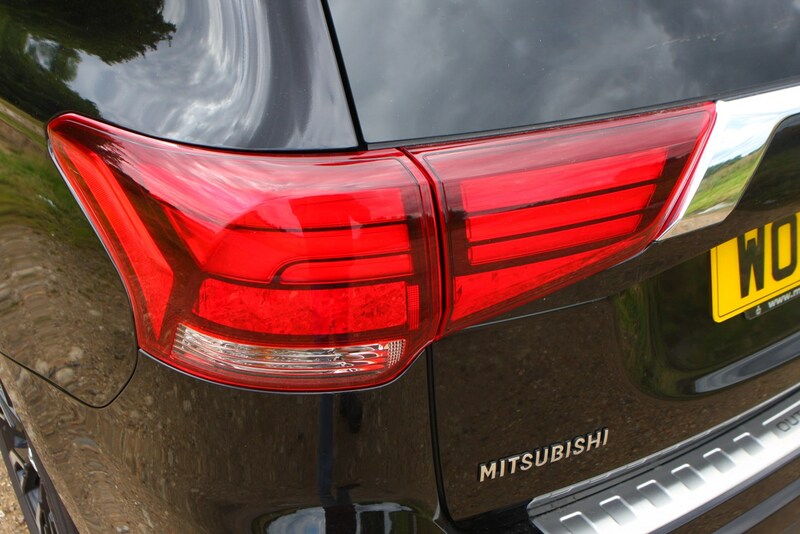 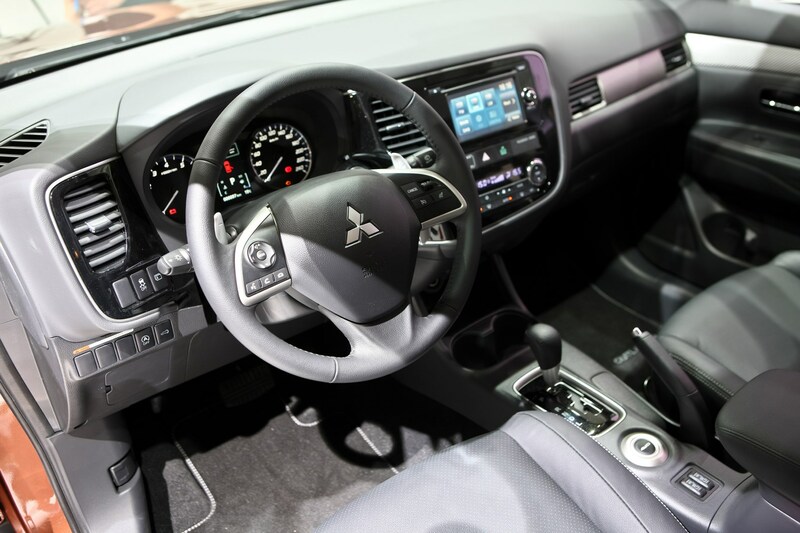 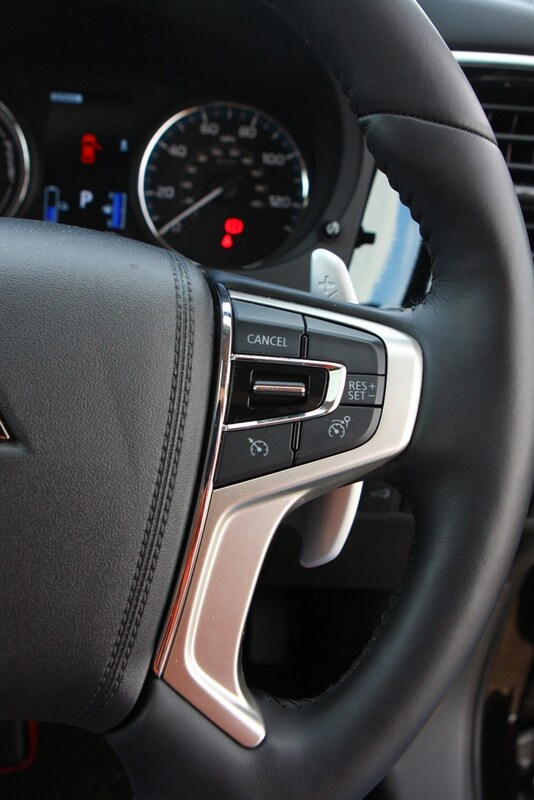 In 2014 the Japanese company launched a hybrid version: the Mitsubishi Outlander PHEV. 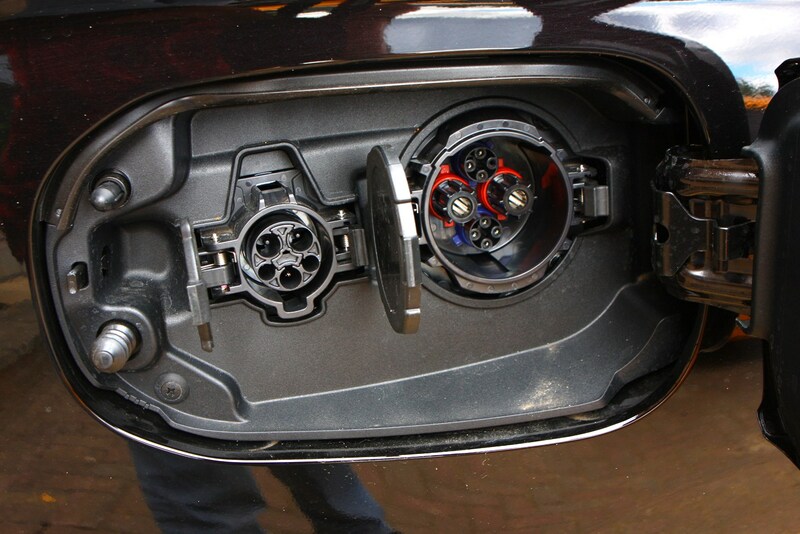 It uses twin electric motors powered by batteries and a 2.0-litre petrol motor that both helps recharge the batteries and provides power to the front wheels. 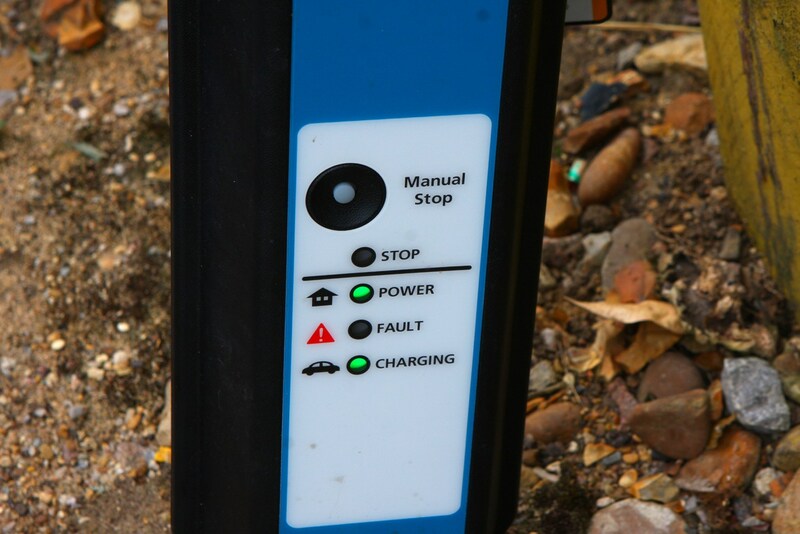 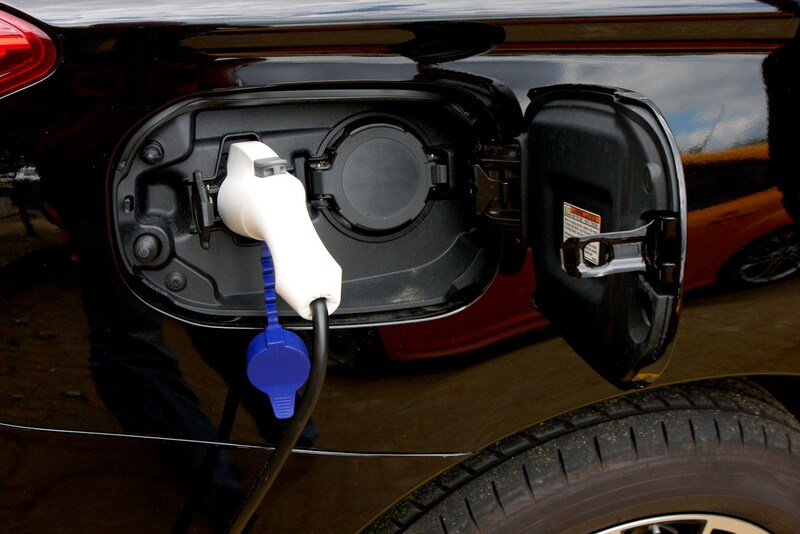 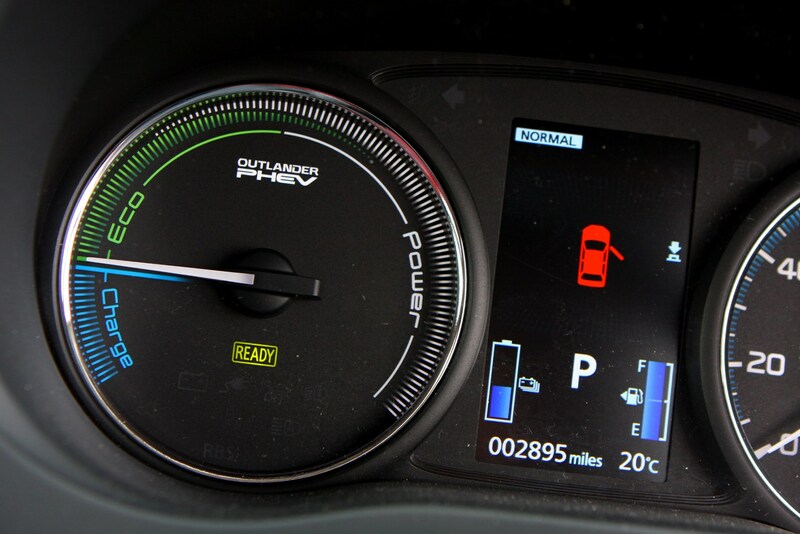 The PHEV can also be plugged in to recharge, with the quickest chargers taking 25 minutes to provide 80% of the batteries’ capacity. 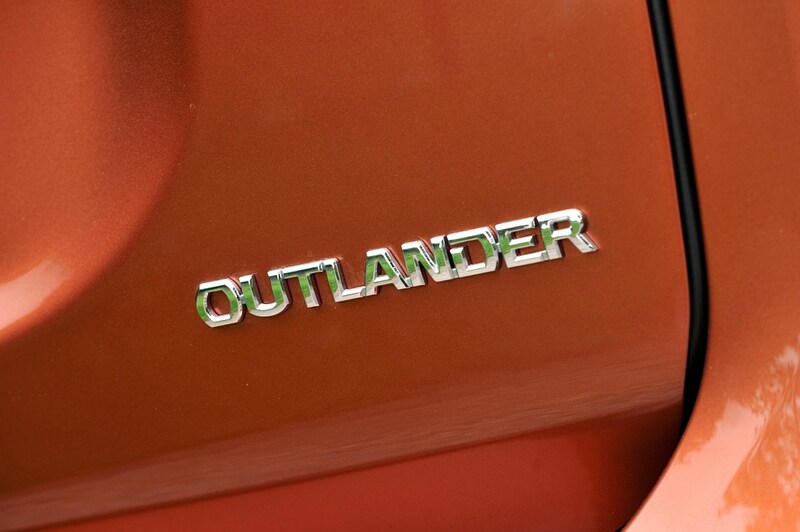 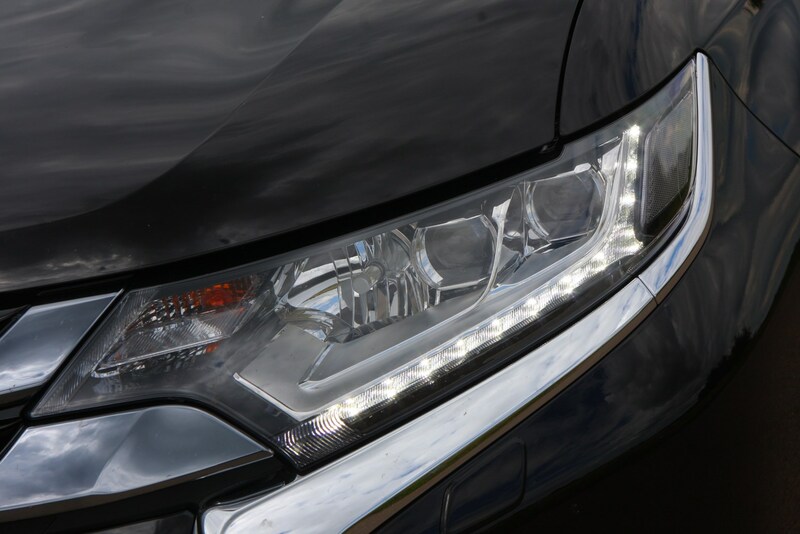 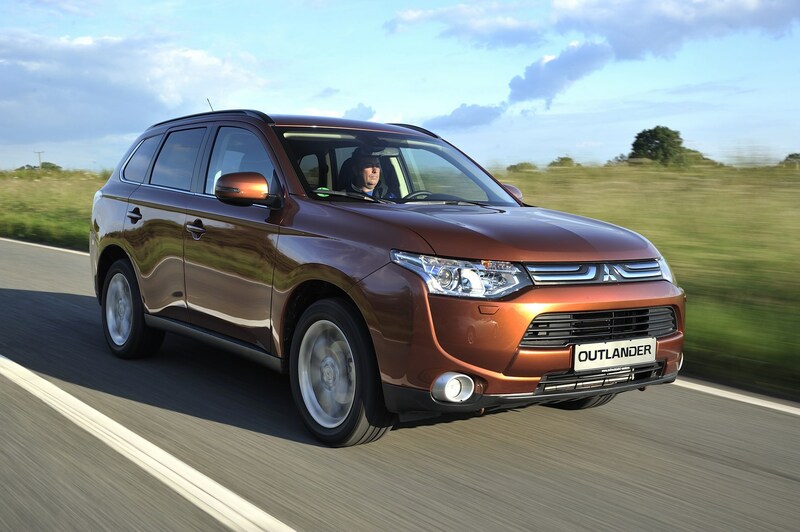 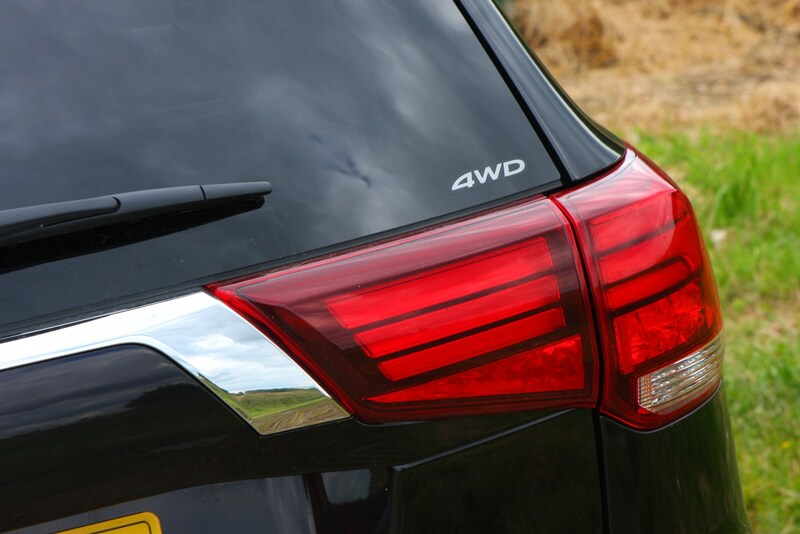 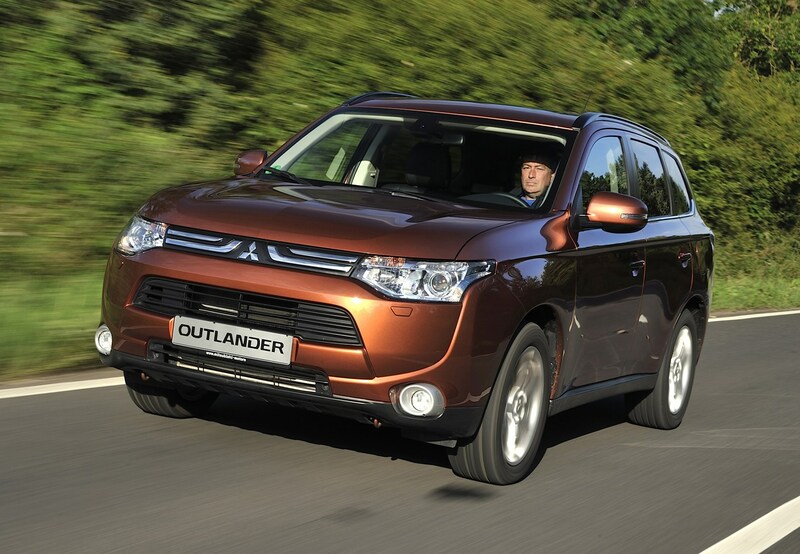 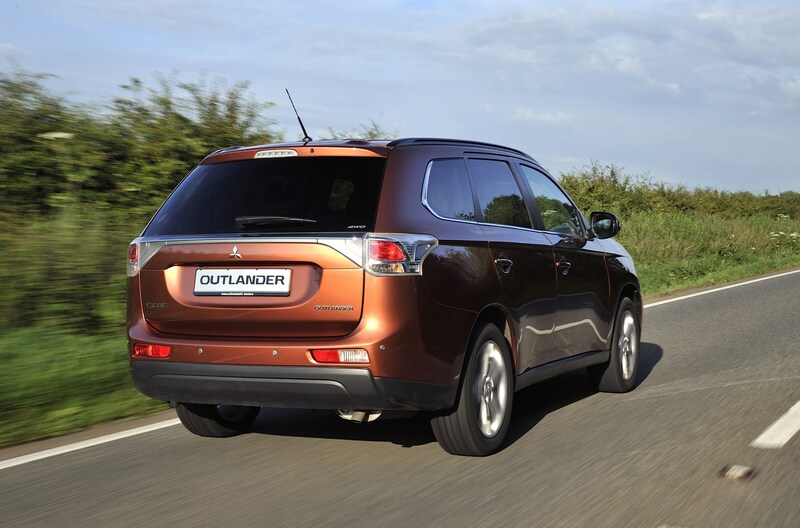 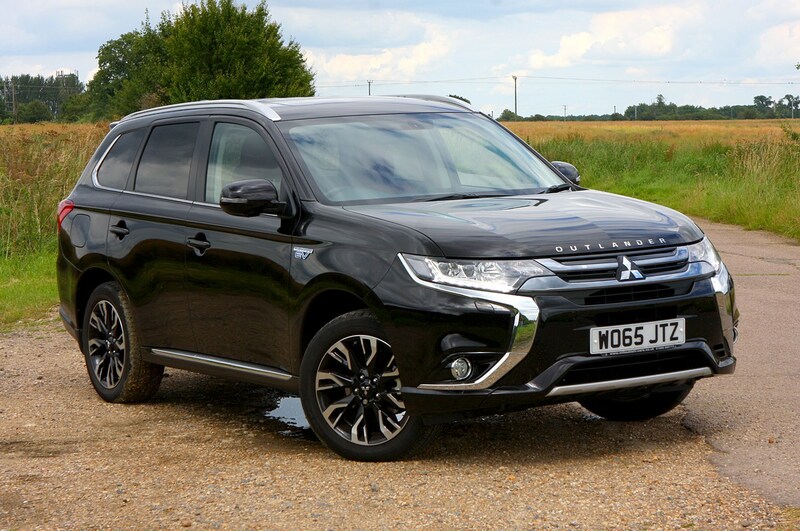 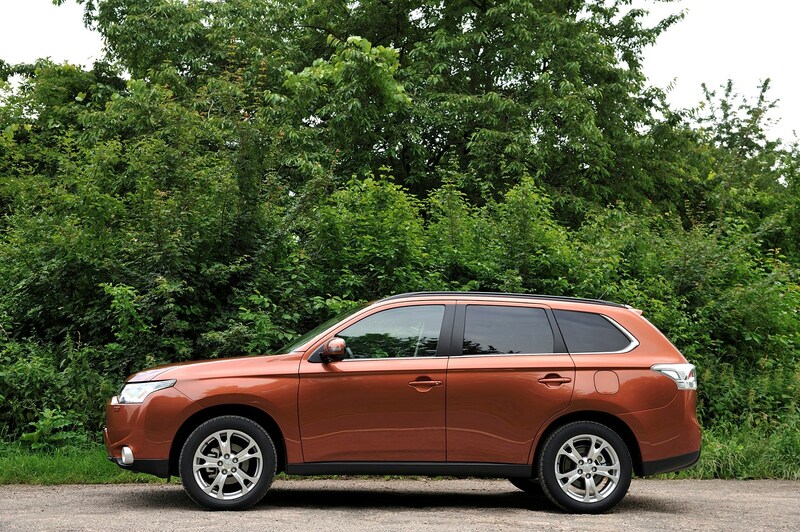 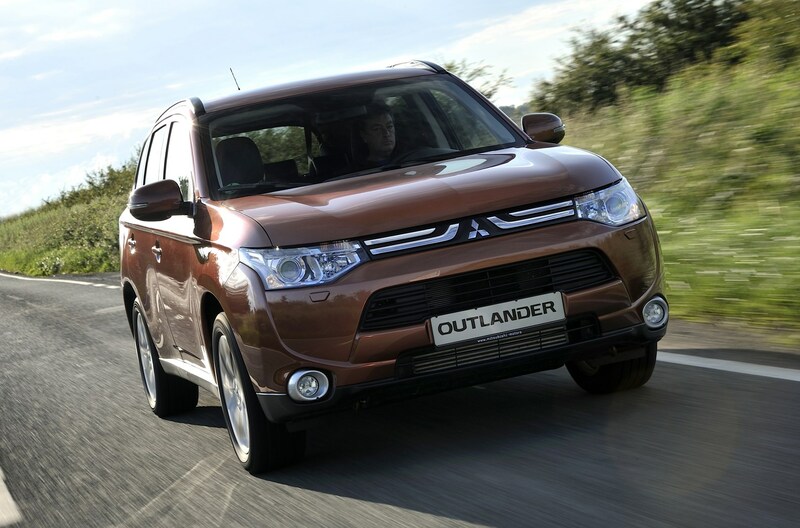 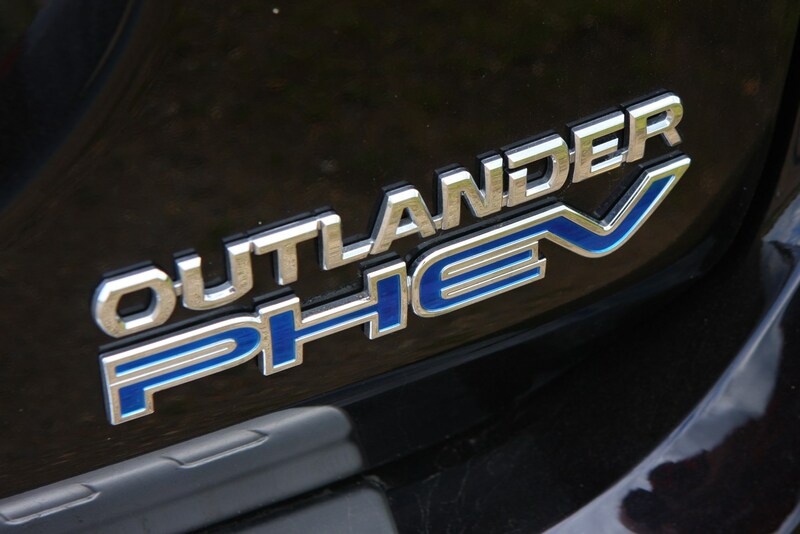 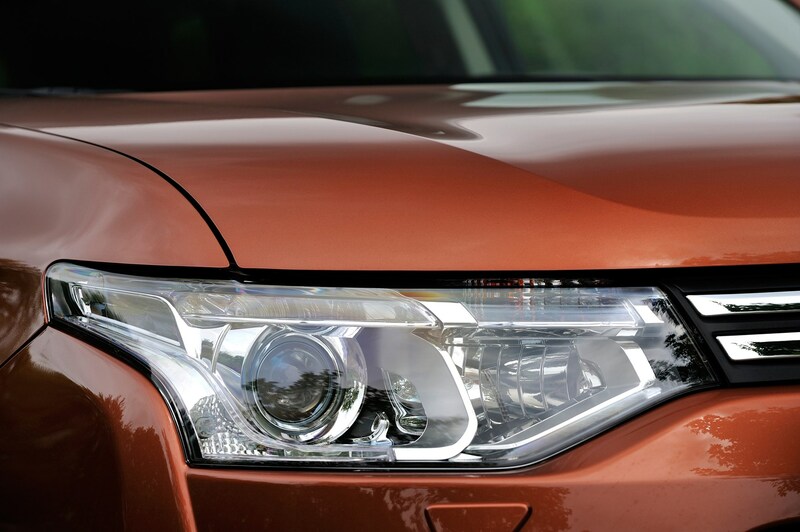 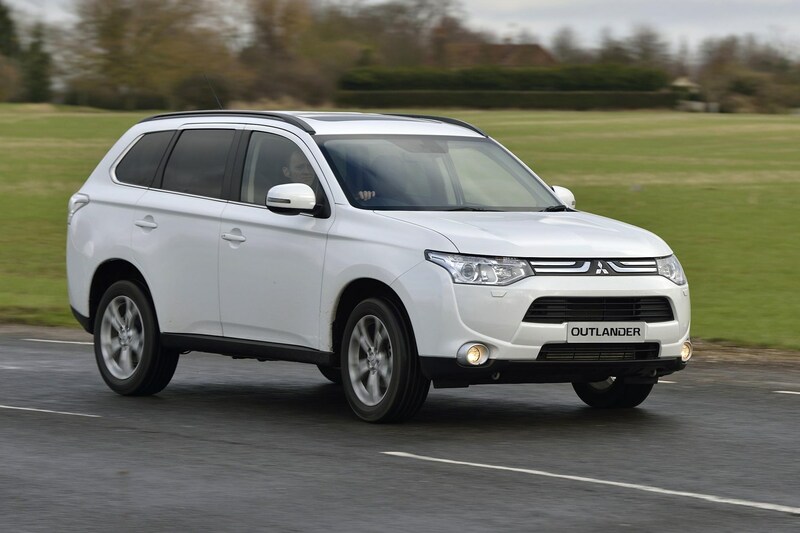 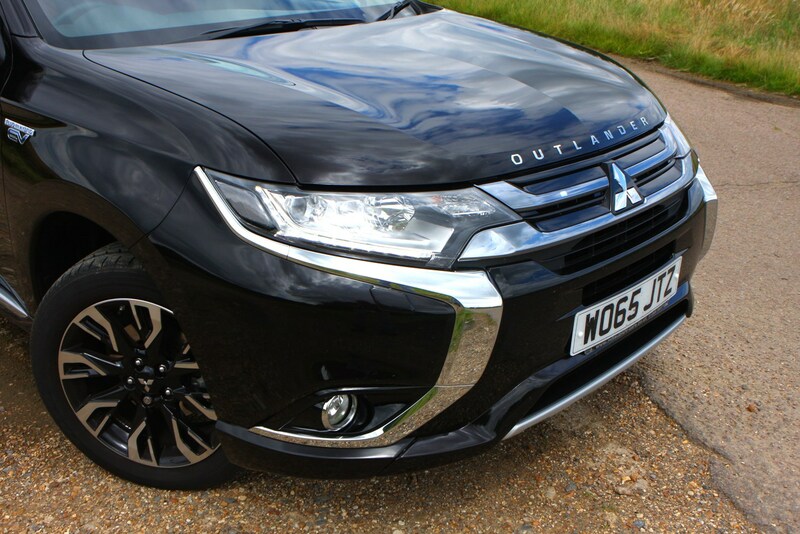 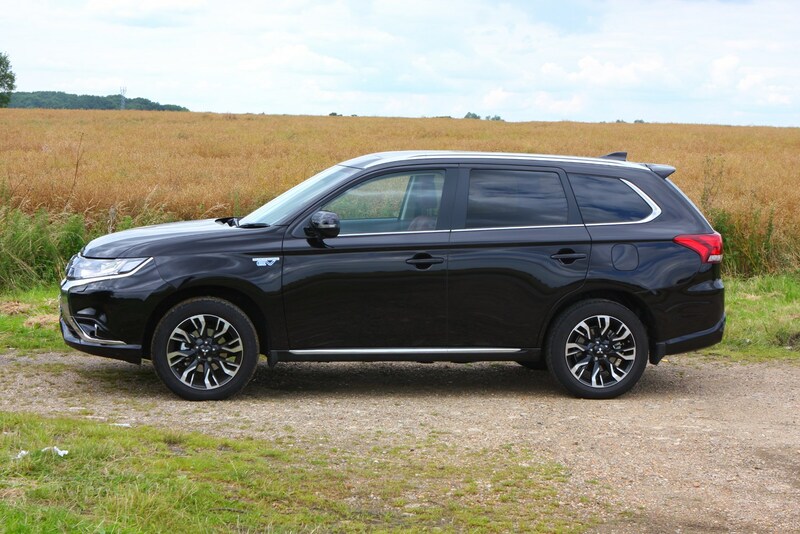 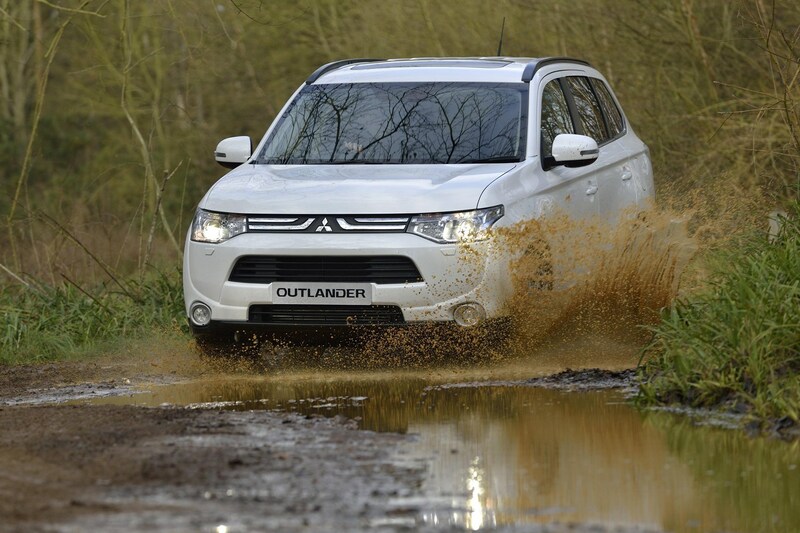 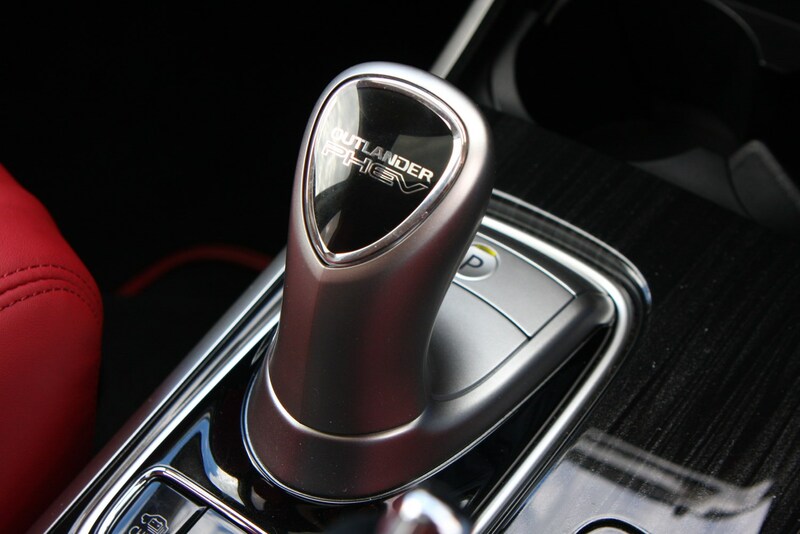 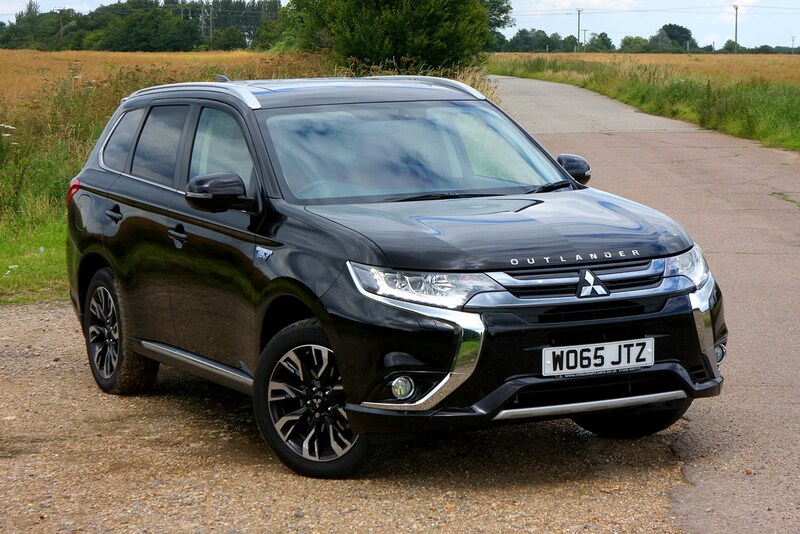 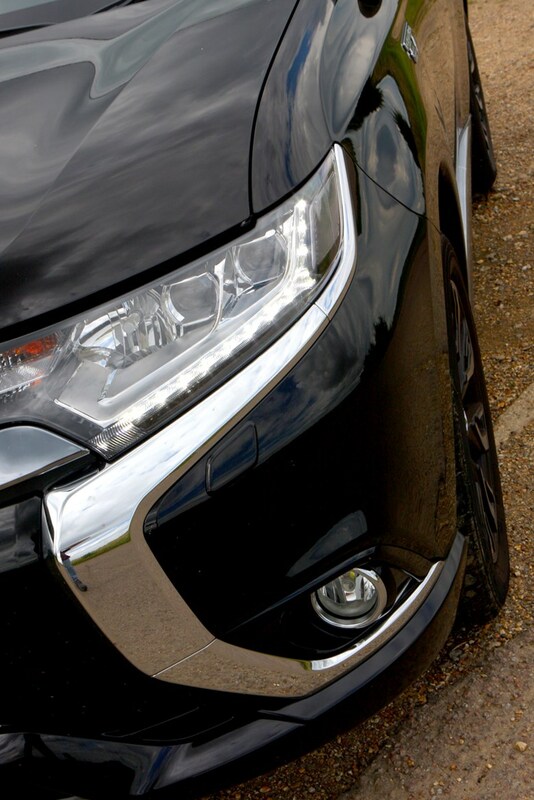 Upon launch the Outlander PHEV qualified for the Government’s plug-in grant of £5,000 and taking that into account is priced either the same as the diesel or very close to depending on which trim level is chosen. 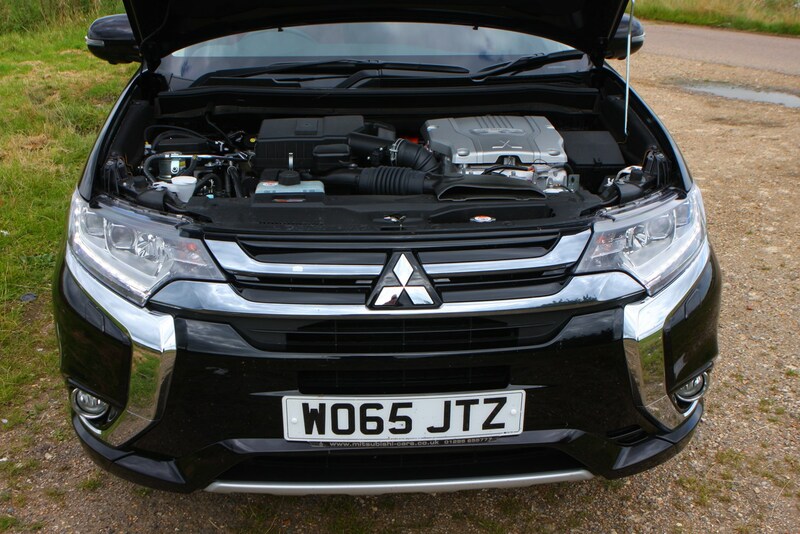 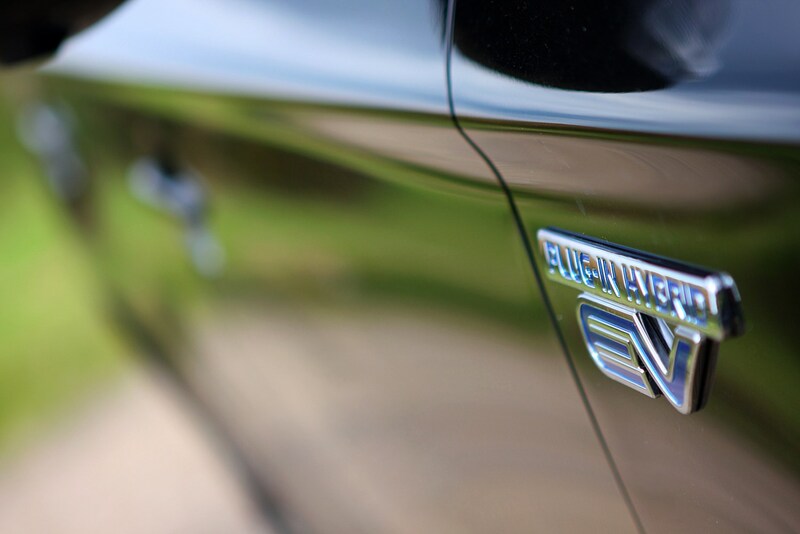 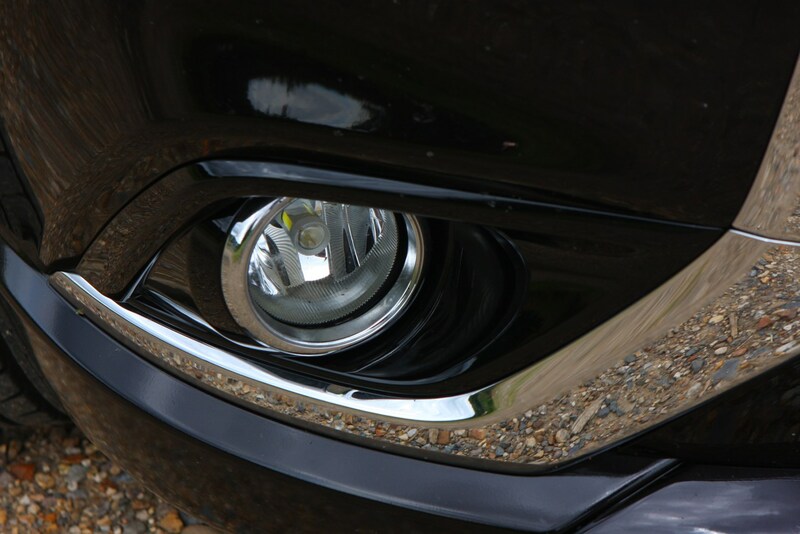 Ownership costs are compelling: zero road tax and a claimed 148mpg average. 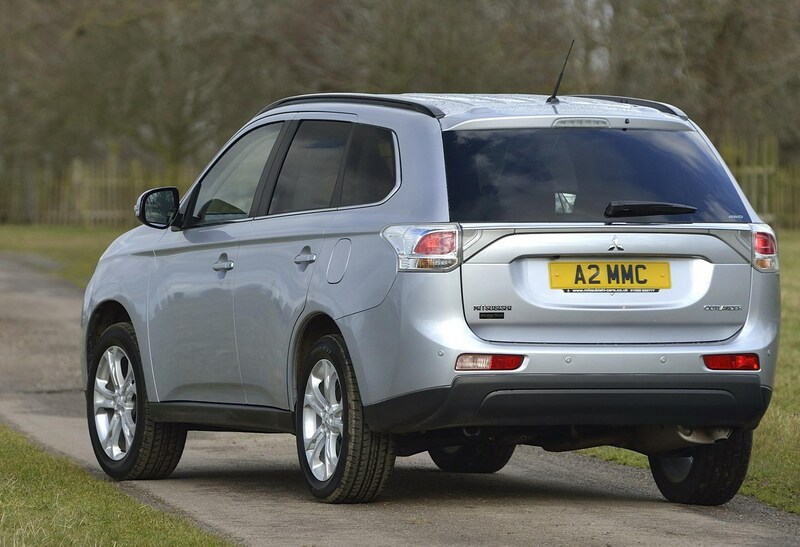 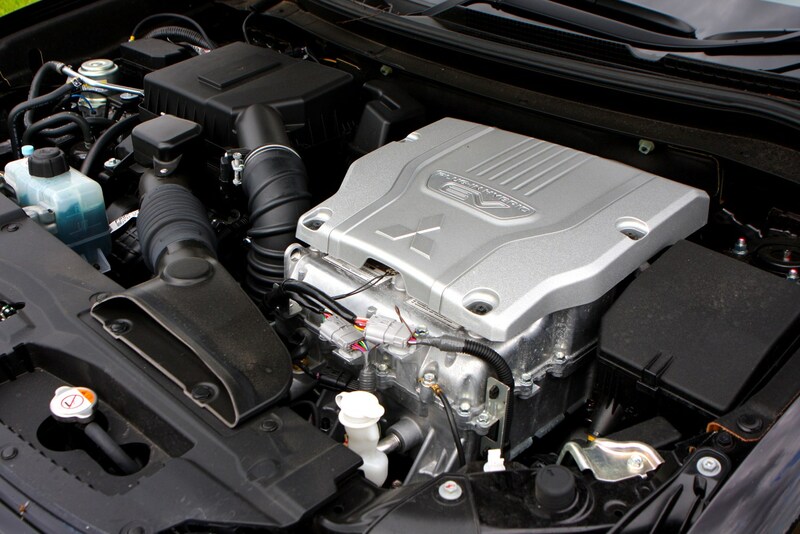 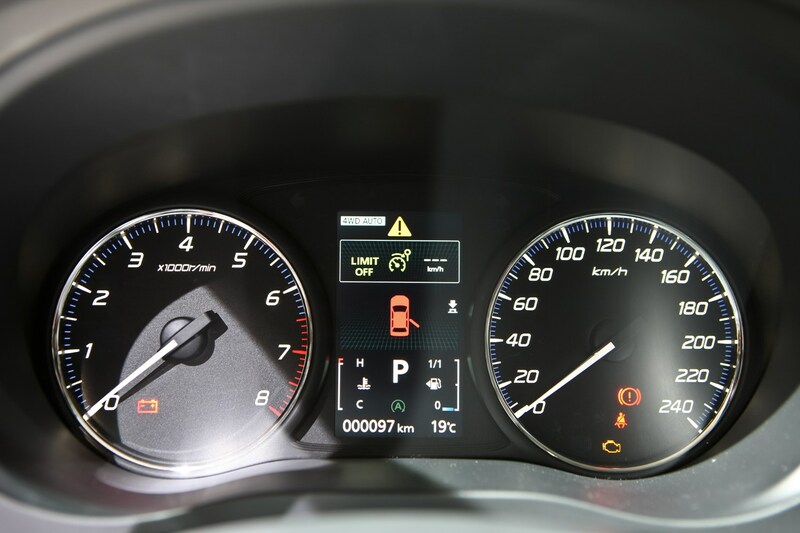 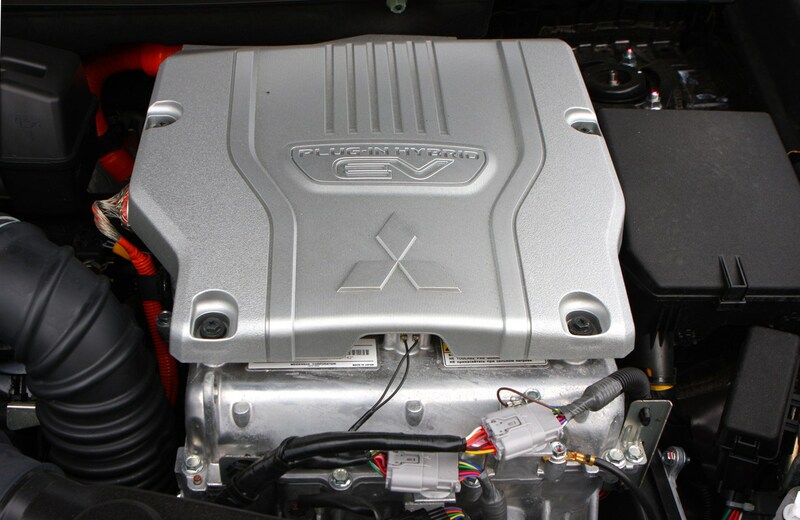 During an update in 2018 (that Mitsubishi calls the 2019 update), the Outlander PHEV gained a larger 2.4-litre petrol engine. 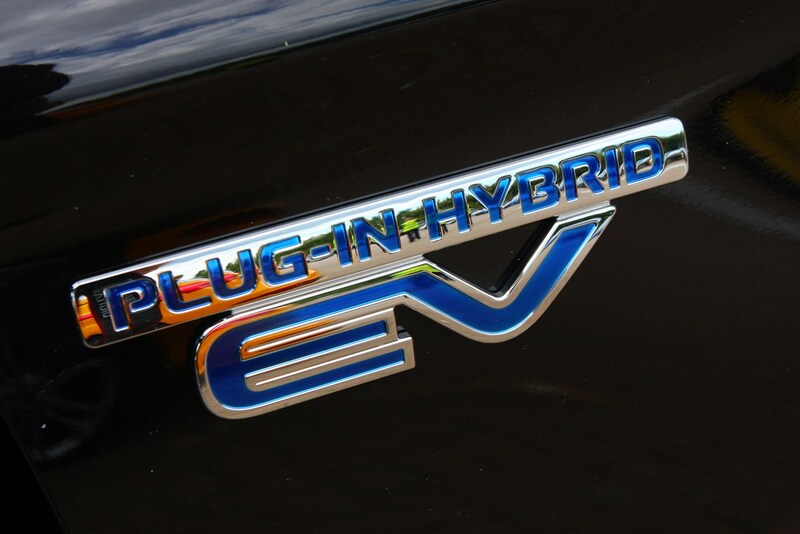 Changes to the EV hardware included a more powerful rear electric motor and battery capacity increasing by 15%. 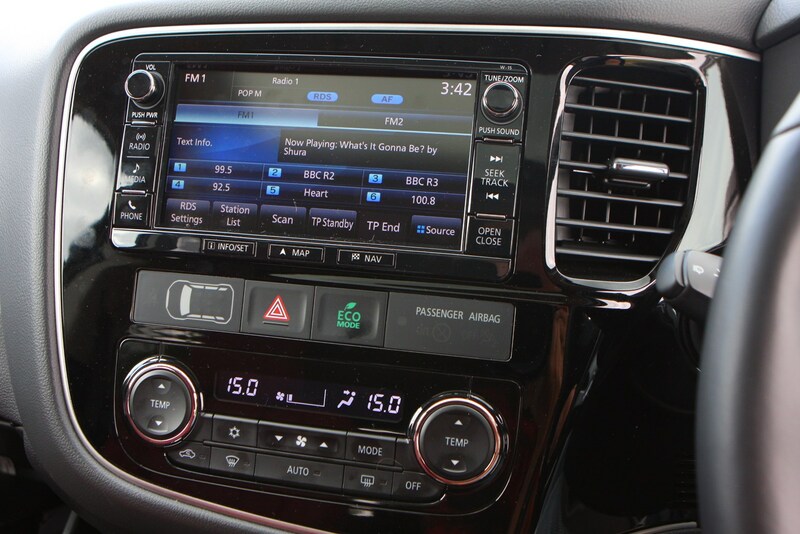 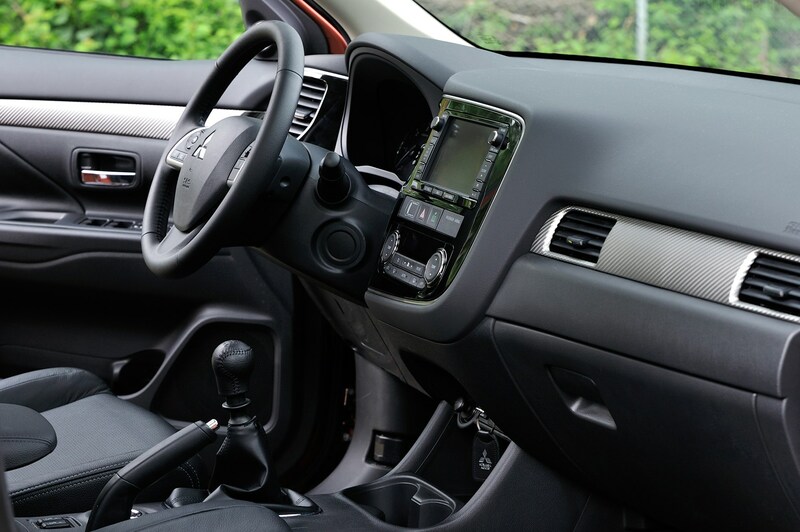 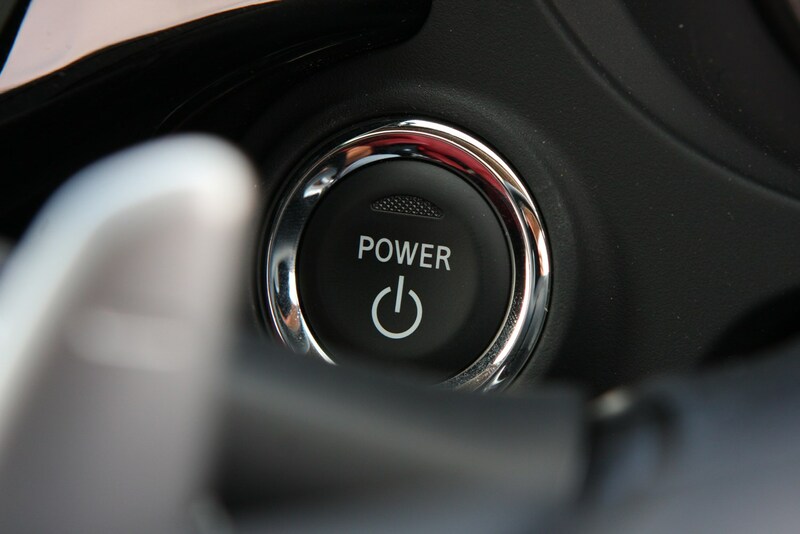 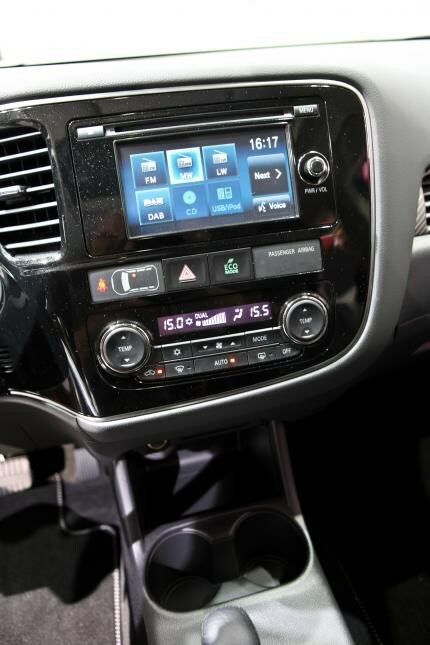 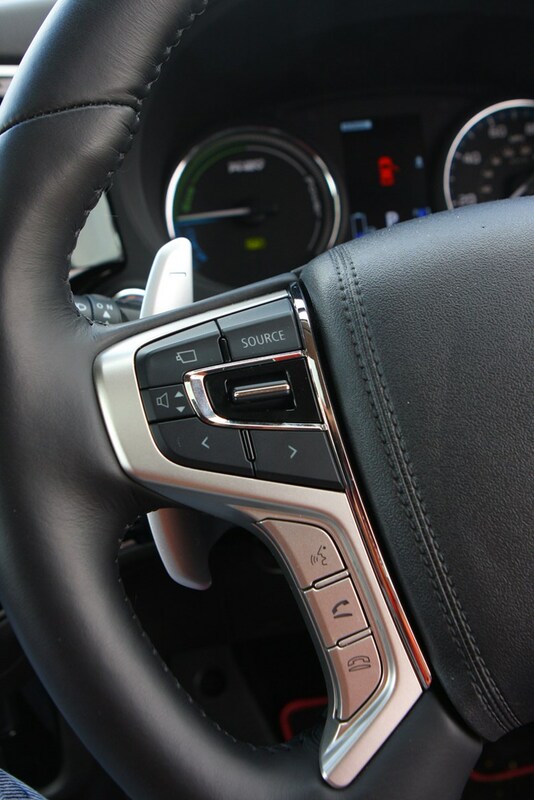 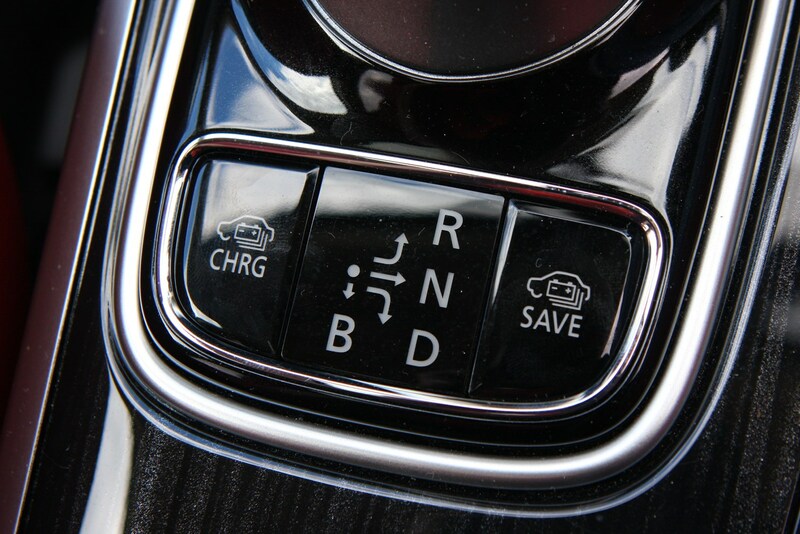 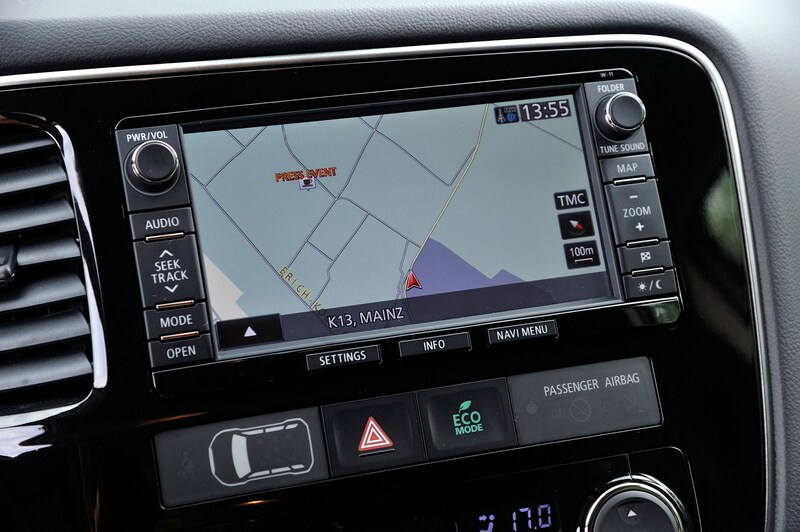 Two extra drive modes were introduced – Sport and Snow – along with LED headlights and the inclusion of Apple CarPlay and Android Auto in the multimedia system. 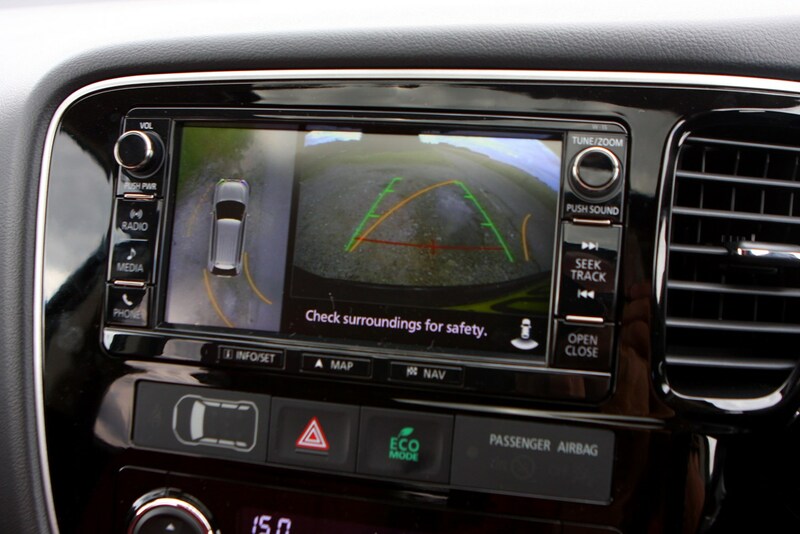 Driver-assistance kit including adaptive cruise control, lane-departure warning and autonomous emergency braking are available. 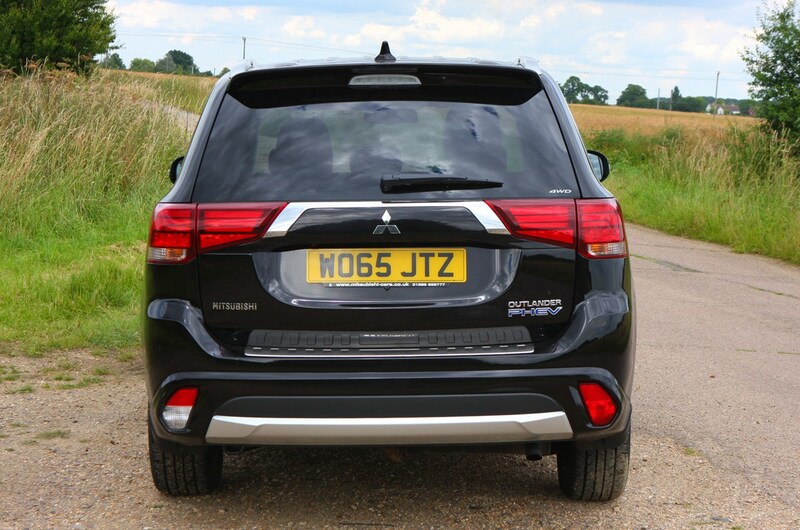 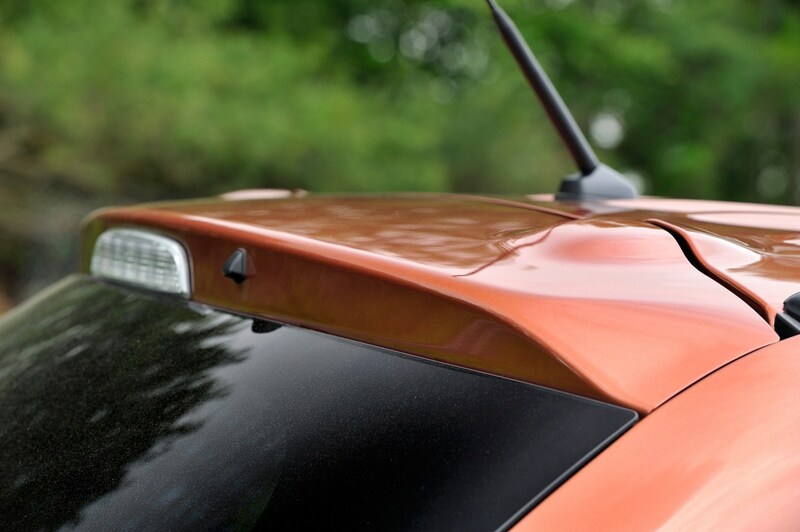 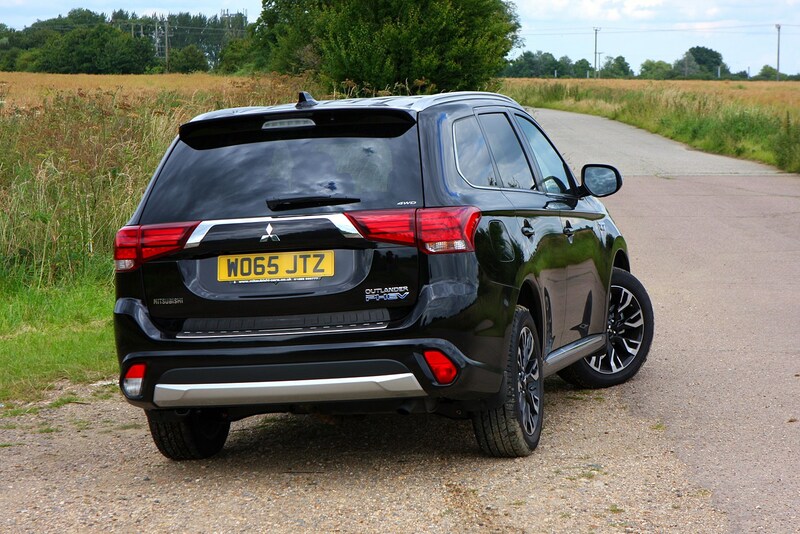 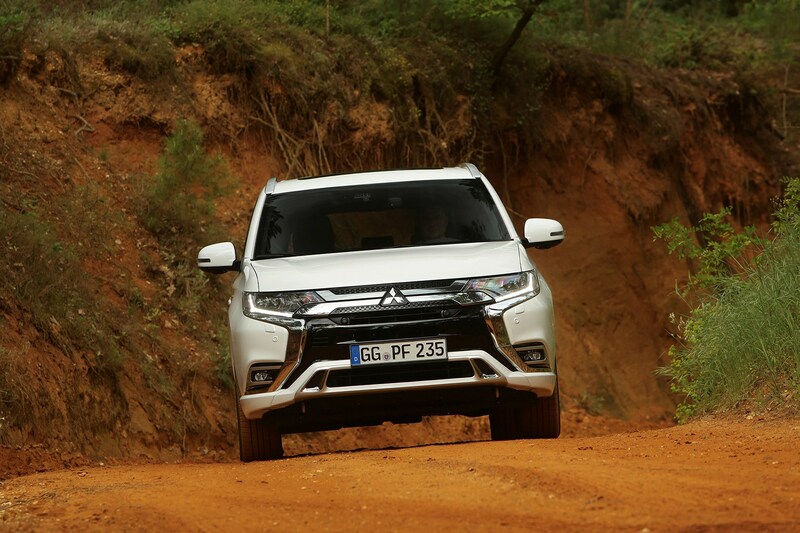 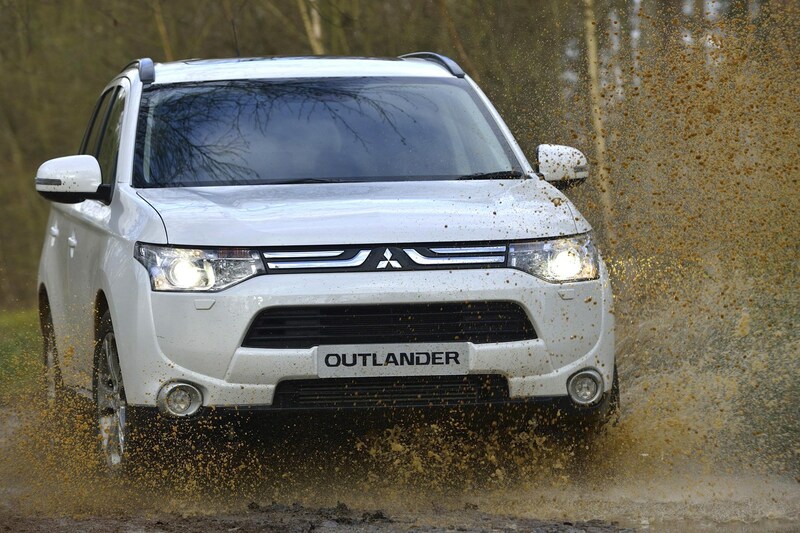 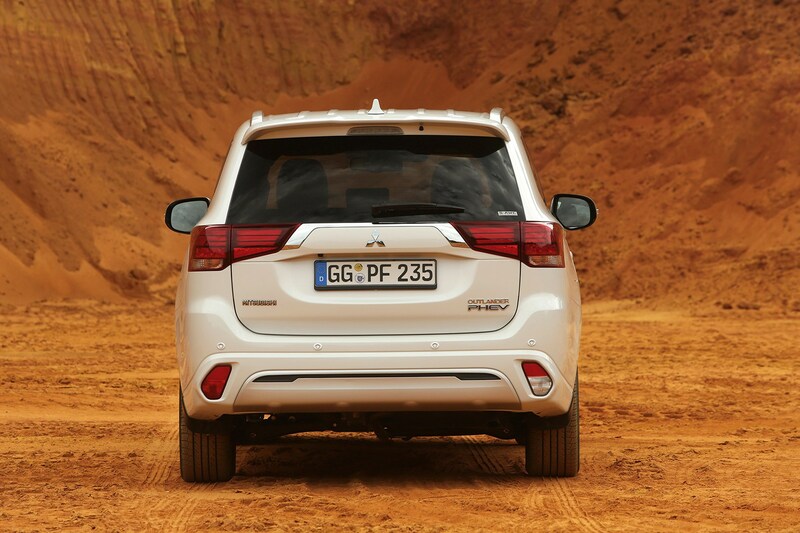 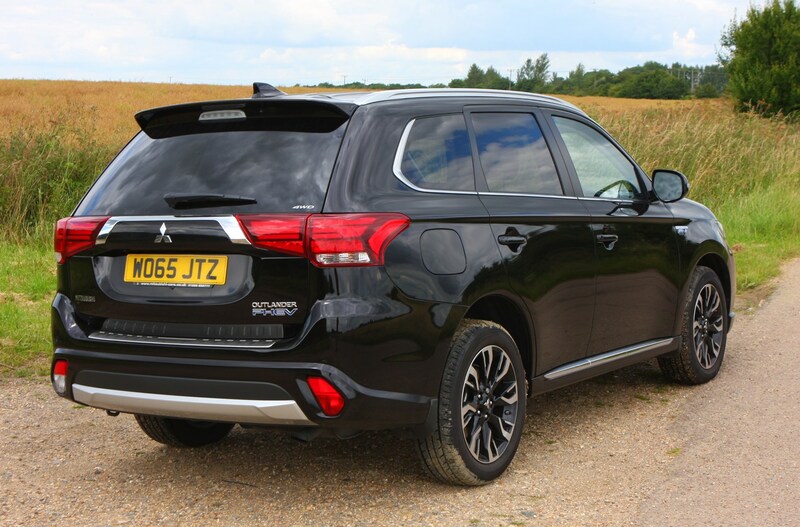 This version of the Mitsubishi Outlander is also much more practical than the previous generation. 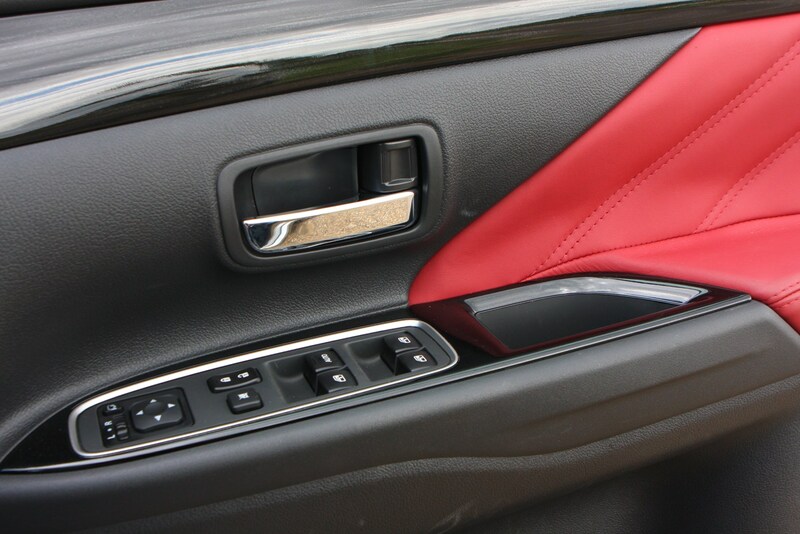 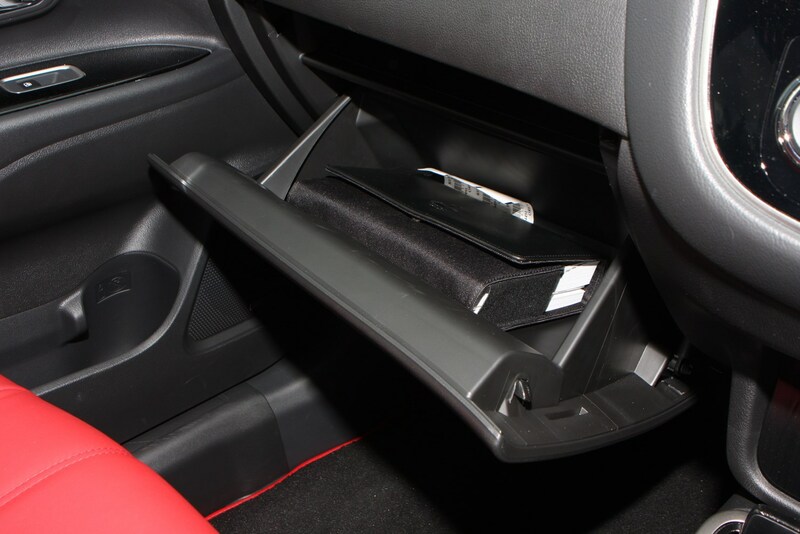 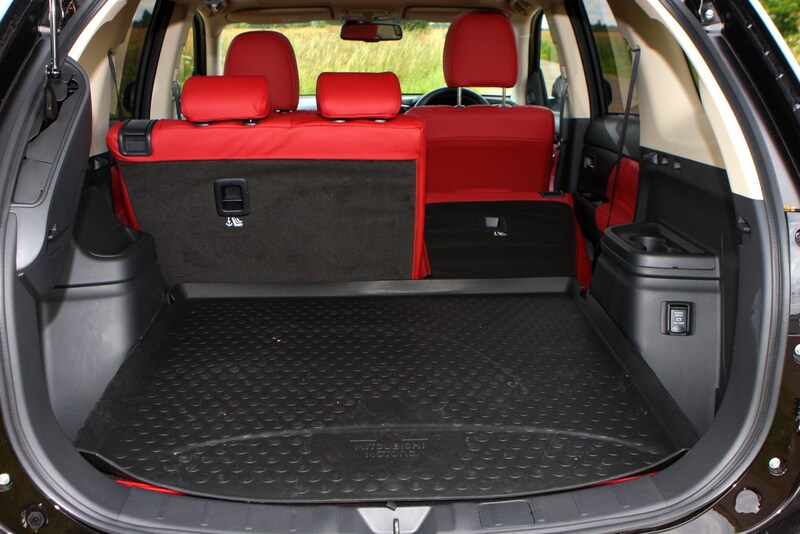 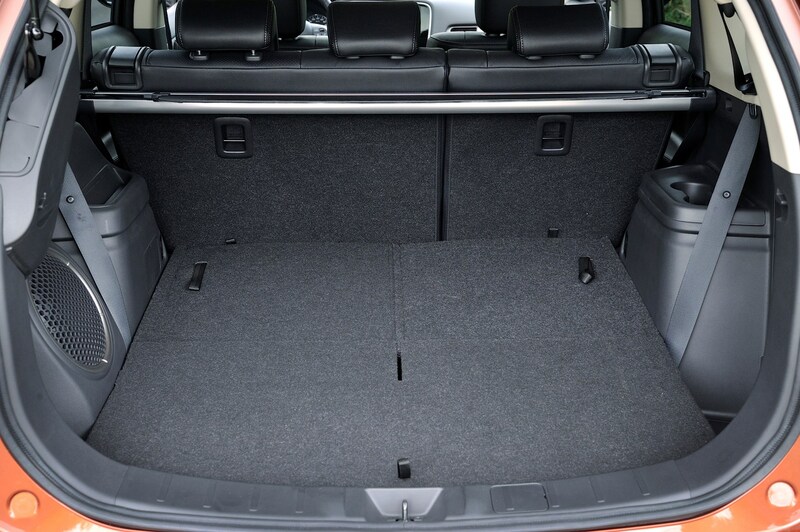 There has been an increase of 80mm between the second row and third row hip points, improving legroom, while the load space with the seats in place has increased by 50 litres. 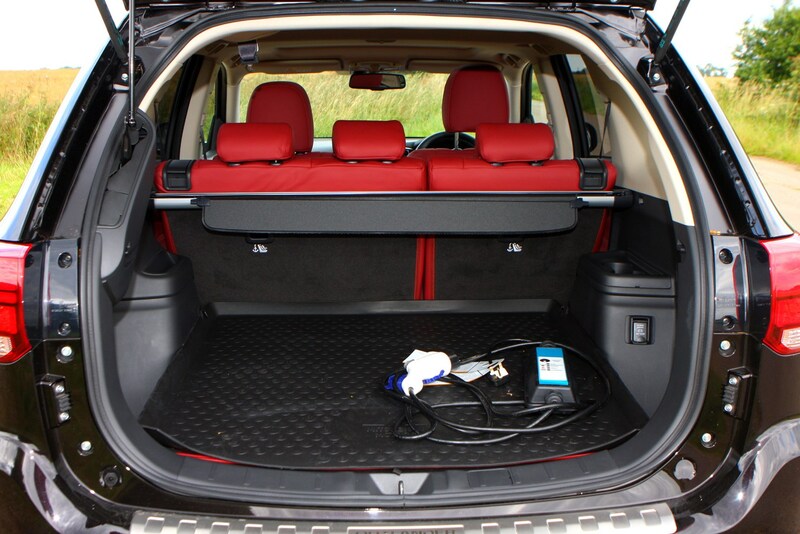 This takes the load space to 591 litres. 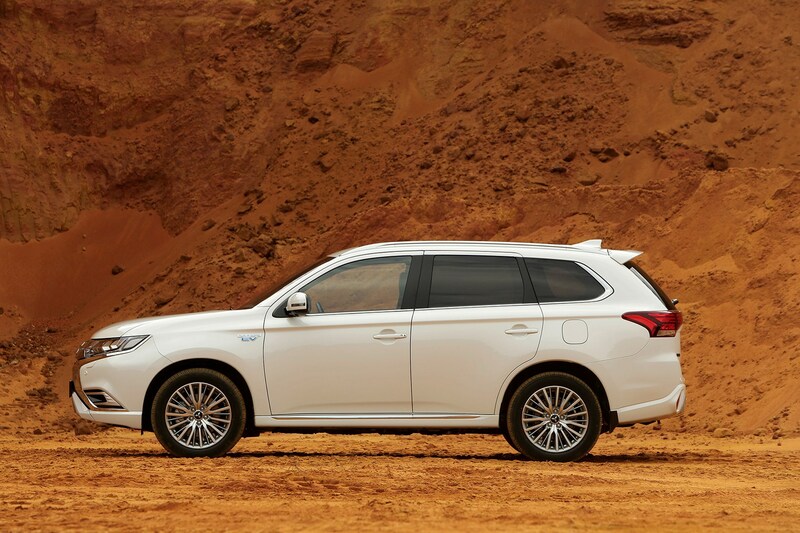 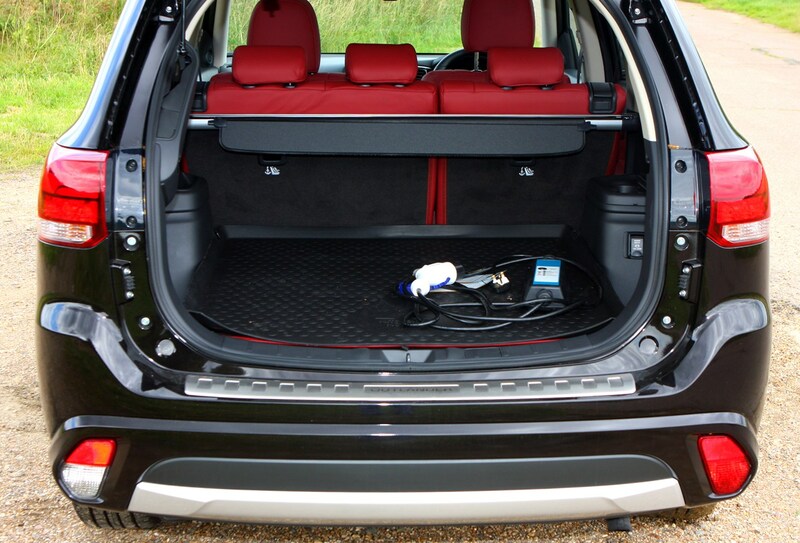 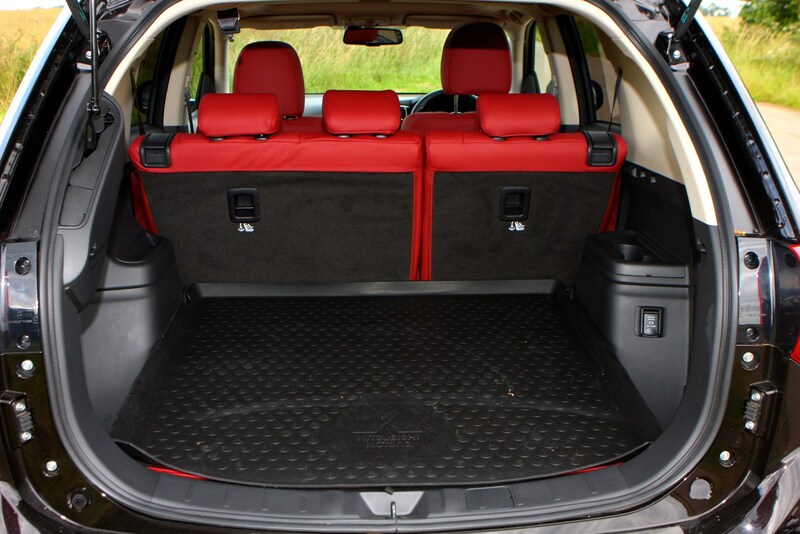 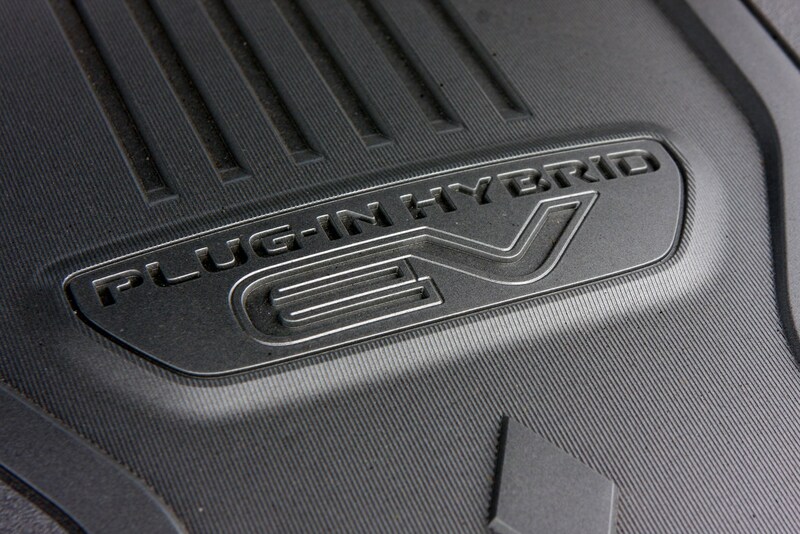 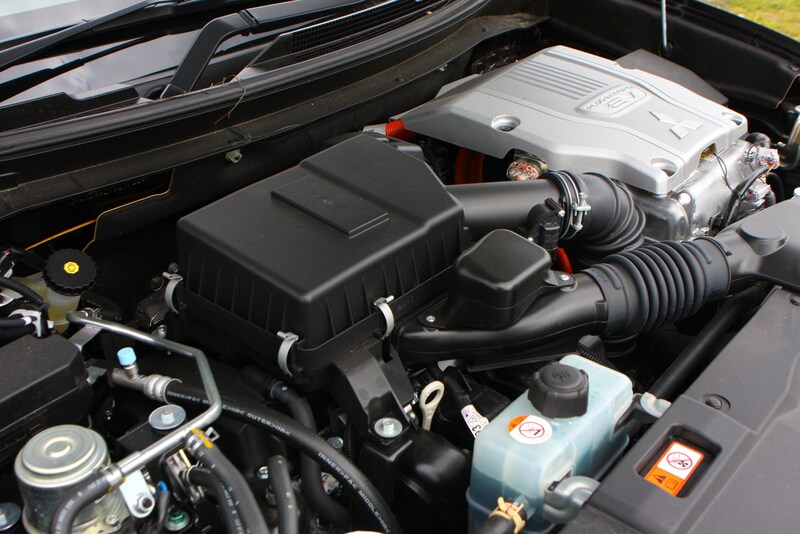 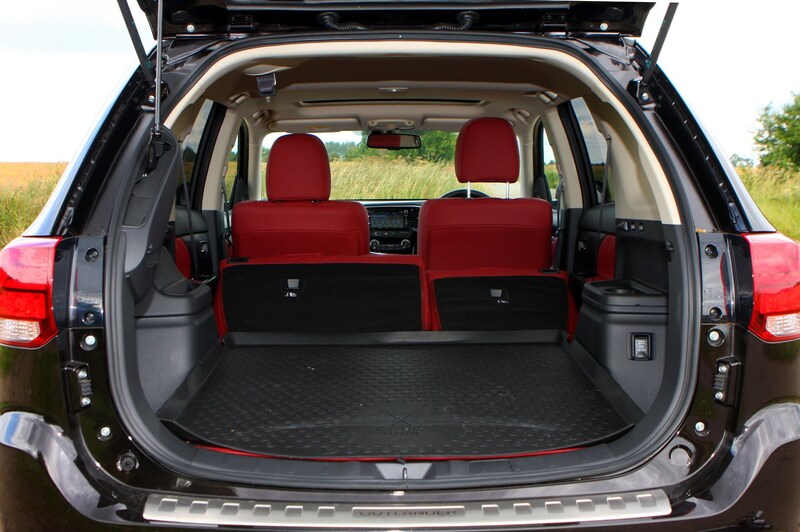 However, thanks to the batteries in the PHEV version, you get 463 litres of load space. 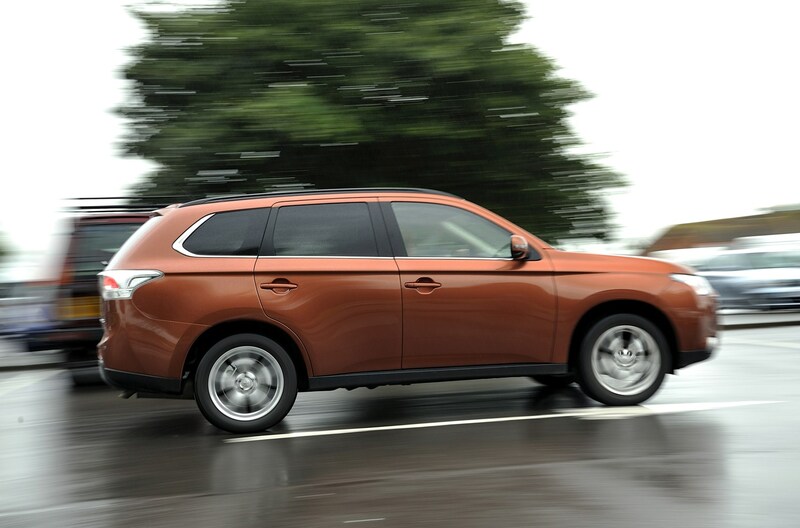 It does have a superior four-wheel drive system, though, and far lower costs. 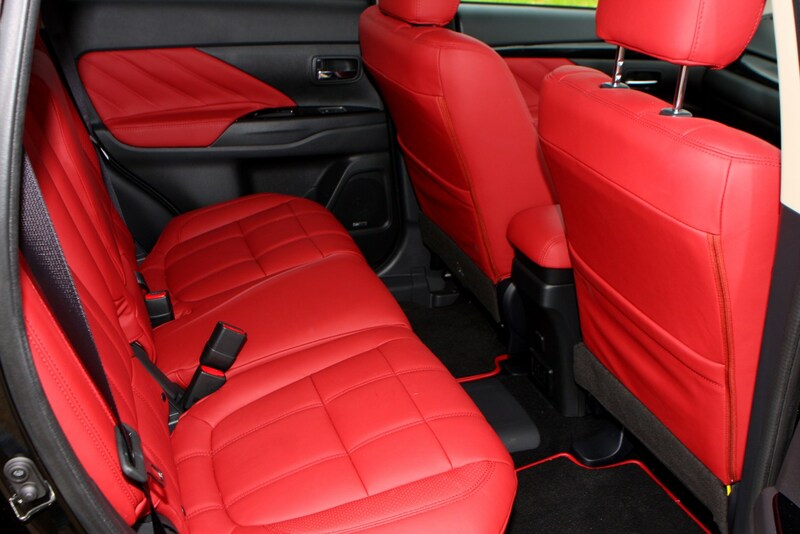 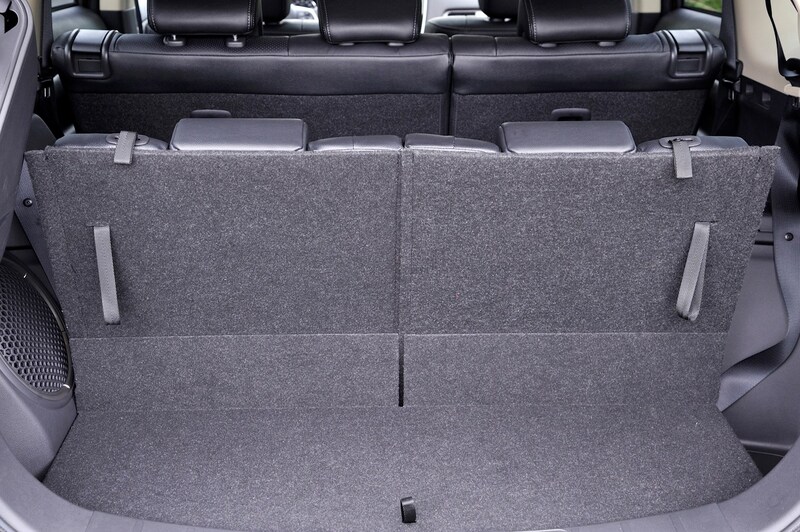 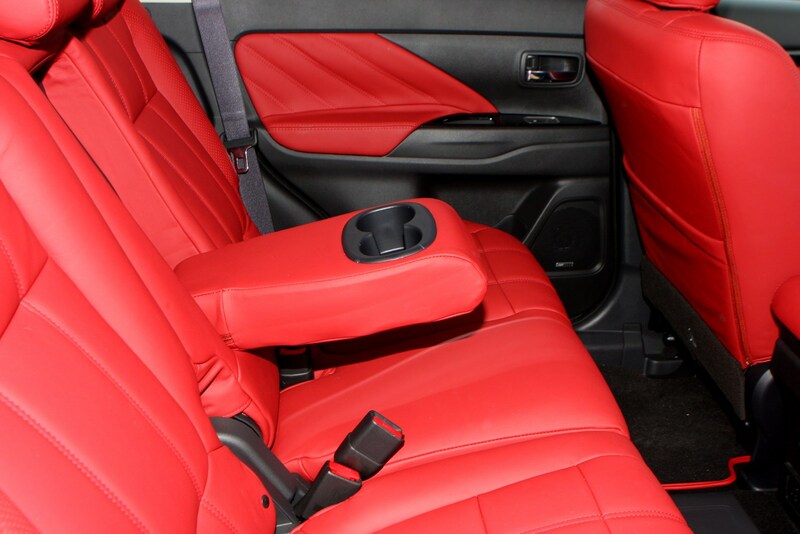 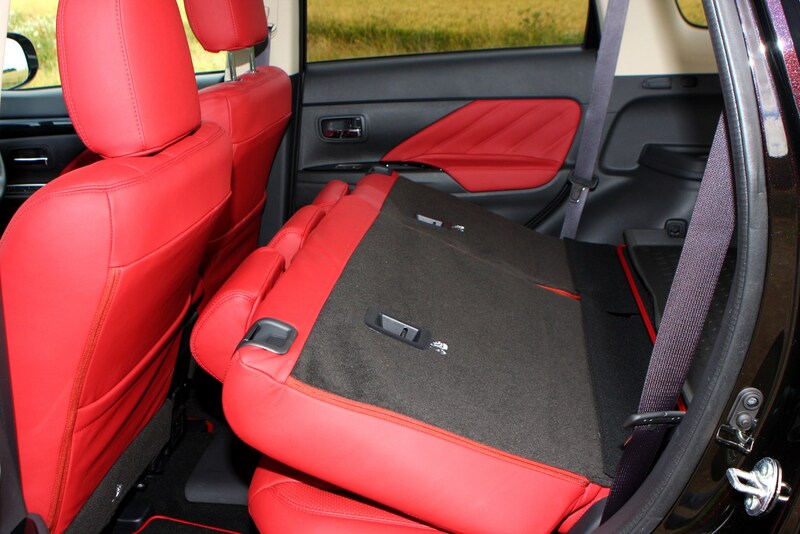 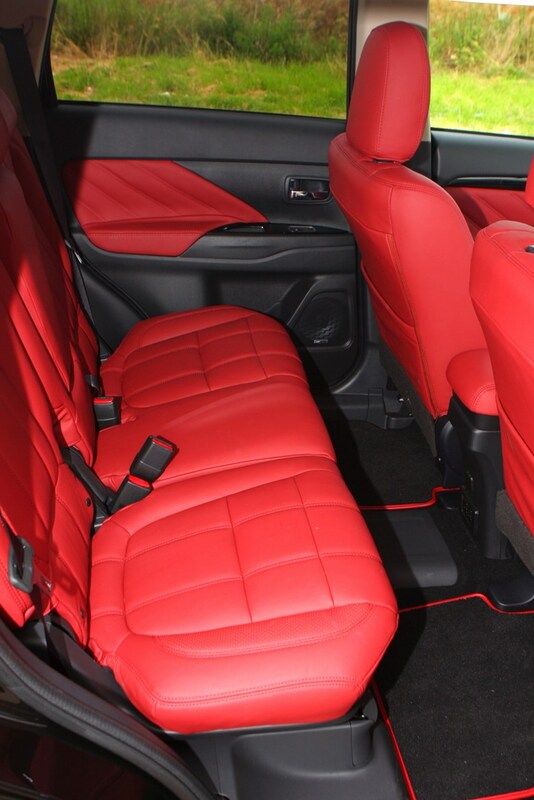 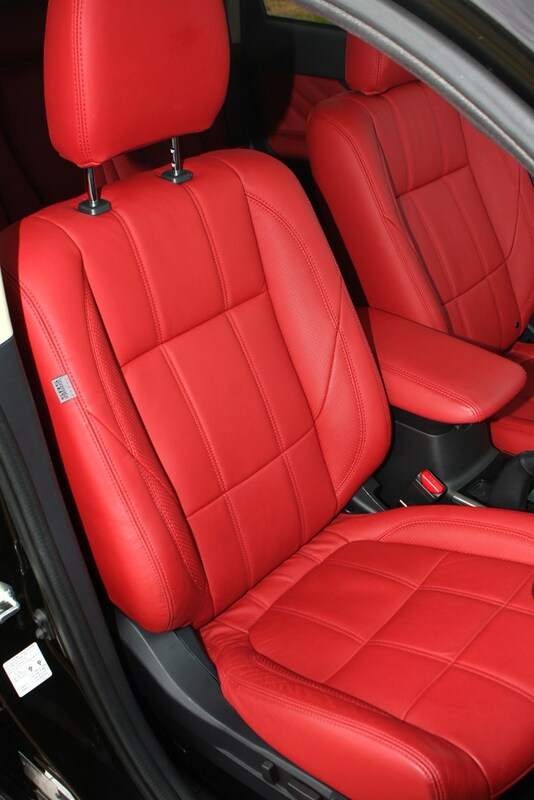 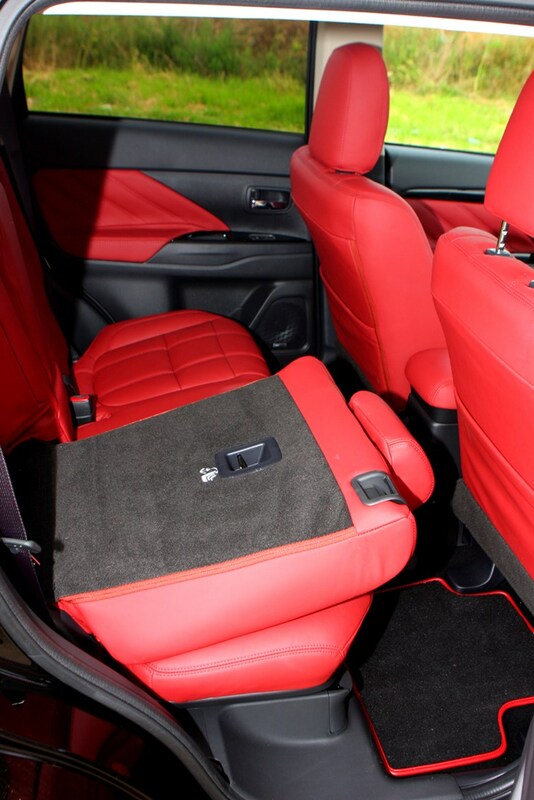 The back seats can be folded flat should longer items need to be loaded. 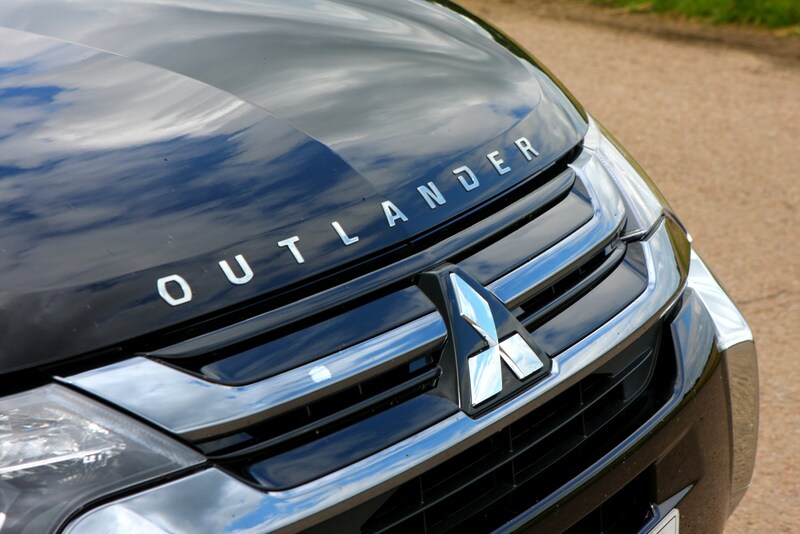 Even in 2018 the Outlander is still a serious contender in the SUV arena. 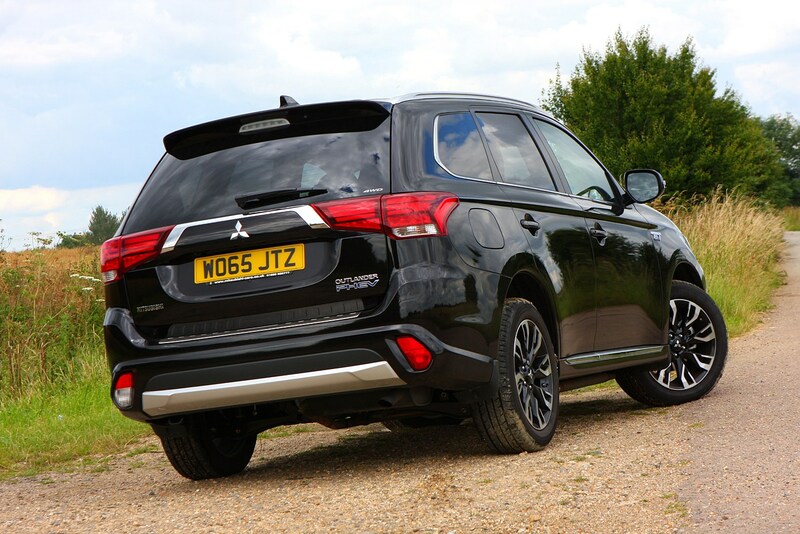 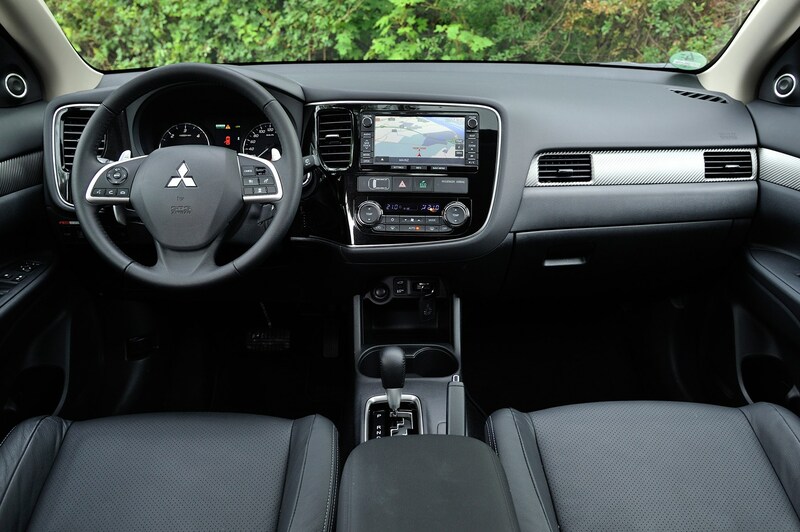 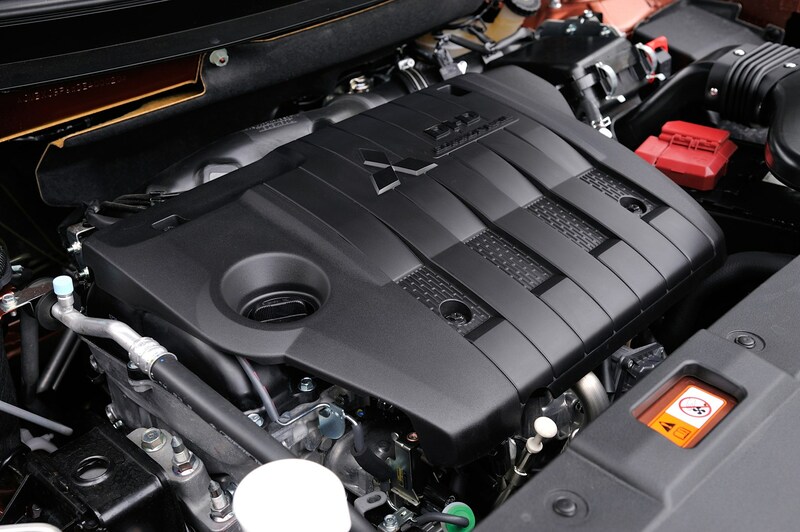 Mitsubishi was ahead of the game with the plug-in hybrid drivetrain, and when retested for the latest WLTP CO2 emissions and fuel economy tests it is still among the best in the business. 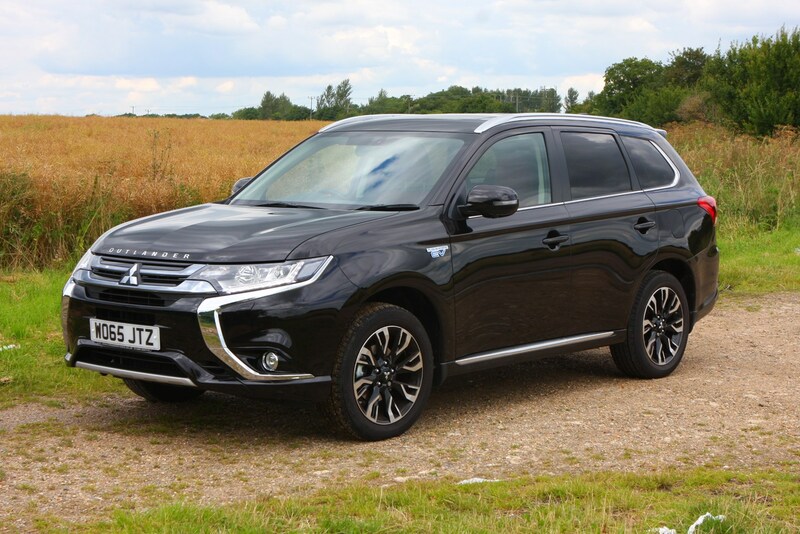 We’d urge caution with the diesel, however, as without the plug-in tech it makes much less sense in the context of other seven-seat SUVs that are newer, more practical and better to drive.